This report may be downloaded as a PDF file (1.5MB) here. It is published in abbreviated form as an Asia Pacific Leadership Network Policy Brief here. This report was prepared with funding from Open Society Foundation and Ploughshares Fund for the 2017 Institute for Foreign Affairs and National Security (IFANS) Conference on Global Affair, “Nuclear-Free Korean Peninsula: Strategies and Action Programs for the Moon Jae-In Administration”, Korea National Diplomatic Academy (KNDA), Seoul, Republic of Korea, December 11 and 12, 2017. Hosted by IFANS and KNDA, co-organized by IFANS, Nautilus Institute, and the Open Society Institute, and sponsored by the Republic of Korea Ministry of Foreign Affairs and the Asia Pacific Leadership Network. David von Hippel is Nautilus Institute Senior Associate. Peter Hayes is Director of the Nautilus Institute and Honorary Professor at the Centre for International Security Studies at the University of Sydney. Energy demand and supply in general—and, arguably, demand for and supply shortages of electricity in particular—have played a key role in many attempts to achieve a negotiated settlement of the nuclear issue with the Democratic Peoples’ Republic of Korea (DPRK). Should the parties to the Korean conflict, in particular the United States and the DPRK, return to negotiations on nuclear and other urgent issues that divide them, it is certain that DPRK energy insecurity will be one of the most important concerns on the table. The DPRK’s energy insecurity is both a key driver that contributes to and a key element of a negotiated settlement of the DPRK nuclear weapons crisis. Per capita energy use as of 1990, before the impacts of the collapse of the Soviet Union on the DPRK economy had been felt—was about 70 gigajoules (GJ). By 2010, by our estimates, per capita energy use had fallen to about 26 GJ, indicating a severe restriction in the energy services—such as heated homes, lighting, kilometers traveled, and industrial products manufactured—available to the DPRK populace. Biomass (including wood) energy use has risen to fill the gap in commercial energy (electricity, oil, and coal), albeit only partially and at low efficiency. Heavy biomass use has led to deforestation and soil degradation. Coal, of which the DPRK holds billions of tonnes (hereafter, tonnes are always metric) of reserves, remains the dominant form of energy use in the DPRK, but is often used inefficiently. Although the DPRK grid nominally has a capacity of 8,000 to 10,000 MW (megawatts), the total generation capacity is limited by the poor state of repair of generation, transmission, and distribution equipment, as well as by seasonal water flows for hydroelectricity production. Total available generation is therefore in on the order of 2000 to 3000 MW, and annual electricity actually consumed by 2014 in the nation of 24 million people was comparable only to that used in Washington DC, and generation in the Republic of Korea (ROK) was a factor of 35 greater than in the DPRK. As of 2010, the fraction of total available oil products used by the DPRK military was an estimated 31 percent, and the military used an estimated 24 percent of available electricity by 2014. The scale of investment required to repair, refurbish, and/or replace the elements of the DPRK energy system is considerable. Bringing the electricity grid alone up to modern and fully operable standards will cost tens of billions of US dollars. Given the current isolation of the DPRK economy, it will be impossible for North Koreans to achieve this recovery without international assistance. At best, the DPRK can hope to continue to make do with existing infrastructure augmented with some small hydropower additions and tiny distributed generation systems for individual homes and businesses, resulting in very slow growth in energy availability. Engaging the DPRK to help to move forward some of the Northeast Asia regional energy projects that have been under consideration for many years offers opportunities to create regional energy interdependence linking the DPRK’s economy to that of its neighbors, while also improving DPRK energy security. Candidate initiatives include international gas and oil pipelines and transmission lines, shared liquefied natural gas (LNG) import facilities, and oil refineries, as well as shared projects to improve energy efficiency and deploy renewable energy systems throughout the region. The DPRK will continue to view membership in the “nuclear energy club” as essential for securing its status among nations, and, given the history of nuclear power being a part of previous negotiated agreements on the DPRK’s nuclear weapons program, in receiving what it has previously been promised, There are various forms of nuclear energy sector engagement with the DPRK—ranging from training in nuclear safety and regulation, to regional cooperation on uranium enrichment and other fuel cycle activities, to joint ventures in development and deployment of small modular reactors—that could be elements of an energy assistance package that is part of a comprehensive security settlement of the DPRK nuclear issue, while simultaneously serving to help to bring the DPRK’s nuclear facilities under international supervision. With regard to energy sector assistance, there are a wide variety of energy sector engagement measures, ranging in scope from training in energy efficiency measures for a small DPRK delegation to renewable energy/humanitarian pilot projects to refurbishment of the DPRK T&D grid, in which North Koreans have expressed keen and consistent interest. A package of such engagement measures, starting small and building as agreements on nuclear weapons security issues are made and implemented, should be a key component of negotiations toward settlement of the DPRK nuclear weapons stalemate, creation of a nuclear weapons-free zone in Northeast Asia, and related issues. 2 Summary of the Overall Energy Situation in the DPRK: History, Problems, and Resources. 4 The DPRK as a Participant in Regional Energy Infrastructure. 6 DPRK Energy Sector Engagement Options for the International Community. A-1. Overall Energy Sector Situation in the DPRK. Energy Resources in the DPRK. Estimates of DPRK Energy Supply and Demand. Focus on Electricity Demand and Supply. Background of DPRK Energy Supply and Demand Situation. Estimated Impact of New Sanctions on DPRK Coal Exports, IF Sanctions Operate as Intended. What Might China’s Overall Approach Be To the New Sanctions? A-3. Sanctions on North Korean Oil Imports: Impacts and Efficacy. Current Oil Supply and Use in the DPRK. DPRK Response to Loss of Oil Imports. A-4. Impact of UNSC Resolution 2375 on DPRK Oil Imports. Impacts of oil and textile sanctions. A-5. Regional Energy Sector Cooperation Options and Benefits. Benefits of the DPRK’s Involvement in Regional Energy Cooperation. A-6. Regional Cooperation on Nuclear Energy with the DPRK..
A-7. DPRK Energy Sector Engagement Options for the International Community. Key Energy Sector Needs and Cooperation Approaches. During the decade of the 1990s, and continuing into the second decade of the 21st century, a number of issues have focused international attention on the Democratic Peoples’ Republic of Korea (DPRK). Most of these issues—including nuclear weapons proliferation, military transgressions, provocations, and posturing, economic collapse, transboundary air pollution, food shortages, floods, droughts, tidal waves—have their roots in a complex mixture of Korean and Northeast Asian history, global economic power shifts, environmental events, and internal structural dilemmas in the DPRK economy. The focus of the international community on the DPRK has become even sharper in the past 12 months, with the consolidation of power by the third generation of the Kim dynasty, Kim Jong Un, and the latter’s ratcheting up of the tempo of both threat rhetoric and nuclear weapons/ballistic missile tests, matched in some respects by countervailing threats from the Trump Administration. A series of United Nations Security Council (UNSC) resolutions have, in part, targeted the DPRK’s energy sector in an attempt to reduce the DPRK’s hard currency earnings and limit oil products supplies, thereby reducing the resources available for the DPRK’s nuclear and missile programs, and, ultimately, bring the DPRK leadership back to the bargaining table—or so the argument goes. In our view, the energy sanctions resolutions passed to date are, for various reasons, unlikely to have the desired effects. Nonetheless, energy demand and supply in general—and, arguably, demand for and supply shortages of electricity in particular—have played a key role in many attempts to achieve a negotiated settlement of the nuclear issue with the DPRK. Should the parties to the Korean conflict, in particular the United States and the DPRK, return to negotiations on nuclear and other urgent issues that divide them, it is certain that DPRK energy insecurity will be one of the most important concerns on the table. In short, the DPRK’s energy insecurity is both a key driver that contributes to and a key element of a negotiated settlement of the DPRK nuclear weapons crisis. In a comprehensive security settlement, we contend that energy and economic assistance to the DPRK will ultimately be one of six critical conditions that must be met to convince the DPRK to reduce its level of threat. Carefully-designed energy sector assistance projects of modest scale, particularly those that combine economic development and humanitarian focus, should be sought out, designed, and as soon as conditions permit, undertaken. The Republic of Korea (ROK) is in a unique position to develop and deliver such projects, and it stands to gain considerably if such projects are successful. For the ROK, engagement with the DPRK on energy issues offers many possible benefits, including an opportunity to improve its relationship with and understand its neighbor, a chance to potentially improve the environment that the two nations share, an opening for the ROK to invest in and benefit from the development of the North’s economy, opportunities to potentially link its energy system with potential resource suppliers, most notably the Russian Far East, and an opportunity to markedly improve the ROK’s security by promoting peace on the Korean Peninsula. It is critically in the interest of the Republic of Korea and its international allies to know as much as is possible to know about the energy resources and needs of the DPRK, so as to be ready, when the opportunities arise, to assist the people of the DPRK in energy and economic redevelopment that, while it will most certainly not be either easy, straightforward, or inexpensive, is as smooth and as sustainable as possible. It is also essential to not repeat the errors of past energy assistance. The essence of so doing is to provide only that energy assistance that meets international energy development standards for aid; and to insist that the bulk of the assistance be in forms that help to create regional energy interdependence between the DPRK and its “energy neighbors,” that is, China, Russia, and Mongolia to the north and west, and the ROK and Japan to the south and east. To that end, this paper provides a brief summary of what is known and/or inferred about the status of the DPRK energy sector, as well as suggestions as to how the DPRK’s energy insecurity might be addressed in ways that could also contribute toward productive engagement with the DPRK on nuclear weapons and related issues. Section 6 provides an illustrative list of energy sector engagement options that the international community could consider negotiating with the DPRK if and when discussions on reducing the nuclear threat on the Korean Peninsula recommence. Section 7 offers our overall conclusions regarding addressing DPRK energy insecurity as a possible opportunity for providing a pathway to engagement. Attachments to this paper provide additional detail on the topics covered in the main text. Overall energy use per capita in the DPRK as of 1990 was relatively high, primarily due to inefficient use of fuels and reliance on coal. Coal is more difficult to use with high efficiency than oil products or gas. Based on our estimates, primary commercial energy use in the DPRK in 1990 was approximately 70 GJ per capita, approximately three times the per capita commercial energy use in China in 1990, and somewhat over 50 percent of the 1990 per capita energy consumption in Japan (where 1990 GDP per-capita was some ten to twenty times higher than the DPRK). The dissolution of the Soviet Union, however, deprived the DPRK not only of its main source of energy supplies provided at concessional pricing, but also of its main source of spare parts for its factories, of markets for its industrial goods, and of the technical assistance that was used to build much of its infrastructure. Without this support, the DPRK was forced to rely on its own energy resources, and on what energy (especially oil) imports from the international market it could afford to pay hard currency or barter goods for. The result was a fairly rapid decline in energy supply and demand in the DPRK through 2000, with energy use by that year less than half, by Nautilus estimates, of what it was in 1990. Significant substitution of “commercial” fuels—oil products, electricity, and coal—with wood and other biomass has occurred, contributing to erosion, and deforestation, and also reducing the efficiency of energy use. Energy-using infrastructure itself, particularly in the industrial sector, but also in buildings, has become dilapidated and under-utilized over time, contributing to the inefficiency of energy use. Energy supply infrastructure, including power plants and, most notably, the transmission and distribution grid, have suffered similar degradation, despite diligent and inventive attempts by DPRK engineers and technicians to keep them operating. Since 2000, some years have seen some improvement in energy supplies, for example, in years with good river flow for hydroelectric production, when investment (typically from China) has come in to fund coal mining for export, or when new (typically smaller) hydroelectric facilities have come on line, and some have seen declines, but the DPRK had not come close to matching 1990 energy availability by 2017. Facing severe energy security problems, and with little to sell on international markets, the DPRK ramped up production of the one commodity on which it could reliably trade in the international community: threat, including the threat of instability and even collapse arising from energy deficits and critical shortages with massive humanitarian impacts inside the DPRK itself. Attempts at addressing the DPRK’s energy insecurity as a part of agreements to freeze the DPRK’s nuclear weapons program have provides some interludes of rapprochement, but 2017 finds the DPRK’s nuclear and missile programs as active as they have ever been, and the DPRK energy sector, despite improvement in some areas and investment in devices like diesel generators and solar photovoltaic panels by businesses and households, still providing North Koreans with, on average, only a small fraction of the energy services that its neighbors in the region enjoy (see Figure 2‑1). A brief sketch of the DPRK energy sector and some of its problems is provided in Attachment A-1 to this paper. Much more detailed reviews/estimates of energy demand and supply in selected years in the DPRK are provided in a number of Nautilus Institute publications prepared over the years. Coal, of which the DPRK holds billions of tonnes of reserves, remains the dominant form of energy use in the DPRK, but is often used inefficiently. Although the DPRK grid nominally has a capacity of 8,000 to 10,000 MW (megawatts), the total generation capacity is limited by the poor state of repair of generation, transmission, and distribution equipment, as well as by seasonal water flows for hydroelectricity production. Total available generation is therefore in on the order of 2000 to 3000 MW, and annual electricity actually consumed by 2014 for a nation of 24 million people was comparable to that used in Washington DC. The scale of investment required to repair, refurbish, and/or replace the elements of the DPRK energy system is considerable—bringing the electricity grid alone up to modern and fully operable standards will cost tens of billions of US dollars. Given the current isolation of the DPRK economy, it will be impossible for North Koreans to achieve this recovery without international assistance. At best, the DPRK can hope to continue to make do with existing infrastructure augmented with some small hydropower additions and tiny distributed generation systems for individual homes and businesses, resulting in very slow growth in energy availability. In the past year, the UNSC has adopted resolutions targeting coal exports from the DPRK and oil imports to the DPRK (resolutions 2321, dated November 30, 2016, and 2375, passed September 11, 2017). The intent of these resolutions are to reduce the DPRK’s access to hard currency earned through sales of coal, historically mainly to China, and to restrict the DPRK’s access to oil products used to fuel its military and its nuclear weapons development activities. In three essays, published in 2017 and provided as Attachments A-2 through A-4 to this paper, we argue that these resolutions will have largely have humanitarian impacts on the DPRK citizenry, but will do little to deter the DPRK from continuing to develop missile technologies or nuclear weapons. A brief summary of our conclusions follows. The coal import cap included as part of the sanctions described in UNSC Resolution 2321 has the potential to decrease the DPRK’s coal export earnings by on the order of one billion dollars, which would be about a third of their overall reported exports and thus hard-currency earnings. Such a reduction would reduce the DPRK’s ability to purchase all types of goods on the international market, though its effect on support for the DPRK’s nuclear weapons program would depend on how the DPRK government chooses to allocate the drop in revenue. In practice, however, the effectiveness of the sanctions depends considerably on how China ultimately interprets the sanctions, and how stringently China chooses and/or is able to enforce the letter and spirit of the resolution. In addition, as Stephan Haggard notes, the DPRK is “deft” at avoiding and working around sanctions, and actions such as off-the-books trades in coal may cut into the actual reduction in the DPRK’s revenues that the sanctions provide, to the extent that the DPRK can adequately finance off-the-books export coal production. In our estimate, the sanctions included in Resolution 2375 would cut refined product imports to the DPRK by about 60 percent, but would not affect crude oil imports. Additional sanctions just released, those included in UNSC Resolution 2397, adopted December 22, 2017, further restrict oil products exports to the DPRK at 500,000 barrels per year, a significant reduction from recent years. These latest sanctions also cap crude oil exports to the DPRK at 4 million barrels per year, but that level is essentially the same as China’s typical exports to the DPRK for most of the last decade and more, so should not change the supplies of domestically-refined products in the DPRK. As a result, the overall availability of refined products (including from domestic refining and imported products) would fall by about 25 to 30 percent as a result of Resolution 2375, and by perhaps 40 to 50 percent including the impacts of Resolution 2397. Even factoring in the December 22, 2017 UNSC oil product export restrictions, the resulting levels of reduction are unlikely to have a significant impact on the DPRK military or nuclear weapons/missile programs. The military sectors will have priority access to refined fuels, including likely fuel from caches of significant volume that have already been stockpiled and provide a substantial buffer against the sanctions. Primarily these sanctions will affect the civilian population, whose oil product uses are of lower priority to the DPRK state. Moreover, and as evidenced by the images in Figure 3‑1, the DPRK can and likely will quickly effect a combination of additional energy end use efficiency, outright cuts, and substitution of non-oil energy forms to manage the cuts. We estimate that seven measures along these lines could cut the equivalent of 3.7 million barrels of crude oil use per year—more than enough to offset the cuts imposed by the sanction under Resolution 2375, and almost enough, even without considering other possible measures, to offset the further restrictions imposed under Resolution 2397. Although the latest UNSC Resolution on the DPRK also seeks to strengthen maritime measures to address the DPRK’s illicit exports of coal and imports of oil products, in practice the overall sanctions may make more lucrative and thus induce further smuggling of these products, including attracting the interest of smuggling gangs that have operated in the Northeast Asia region for many years. The more that the DPRK invests now in these workarounds to oil product restrictions, ranging from curtailment of oil product end-uses and of lower-priority users/geographic areas to fuel switching, producing liquid fuels from coal, and smuggling, the more resilient it becomes against future sanctions-driven cuts. Although, as noted, the latest round of UNSC sanctions may not be as effective as hoped in curbing the DPRK’s spending on its nuclear weapons program, it is clear that sanctions are one of the few peaceful means that the international community has to express its dismay at DPRK behavior, and to try and influence that behavior. That said, other (non-military) options for addressing the DPRK nuclear weapons program must proceed concurrently with sanctions. Energy sector engagement with the DPRK, starting small with training projects on, for example, renewable energy and energy efficiency, and building to pilot projects in the DPRK, are a way of opening channels of communication that can be built upon over time. Resolution of the DPRK nuclear weapons issue would open opportunities for regional cooperation on energy issues that has heretofore been stymied, at least in part, by the difficulties in including the DPRK in regional projects. There remain, however, many different opportunities for developing regional energy infrastructure and for energy cooperation activities—many of which could involve the DPRK—that would potential benefit a number of regional parties on many levels. For example, as the DPRK economy becomes more integrated with the economies of the region, pipelines and transmission lines could be developed to pass through the DPRK to the ROK, providing service to the DPRK as well. Figure 4‑1 shows a potential routing for a major Russia/DPRK/ROK transmission line that has long been considered, together with smaller import lines serving local areas of the DPRK from Vladivostok and the ROK, respectively. Additional markets for all types of technologies (and services) would open as the DPRK is redeveloped. In fact, the redevelopment of the DPRK will provide a considerable opportunity to install efficient end-use equipment and renewable energy systems, as the DPRK economy (and infrastructure) will need to essentially be rebuilt from the ground up. In the process the DPRK may in a way provide a “laboratory” for application of energy efficiency and renewable energy measures in a way that nations with infrastructure that has been more recently updated cannot. Regional cooperation on energy sector initiatives also provides an opportunity to utilize DPRK labor, and to help to build a sustainable economy in the DPRK. Finally, under international rules for applying Clean Development Mechanisms (CDM), which allow nations to take credit for financing greenhouse gas emissions reduction in other countries, redevelopment in the DPRK may provide a host of opportunities for countries within and outside the region to apply CDM in energy sector investments in the DPRK. Attachment A-5 to this paper provides a summary of possible regional cooperation options in the energy sector, and of the potential benefits, both to the DPRK and to nations engaging with the DPRK, of regional cooperative projects. In summary, engaging the DPRK to help to move forward some of the Northeast Asia regional energy projects that have been under consideration for many years offers opportunities to create regional energy interdependence linking the DPRK’s economy to that of its neighbors, while also improving DPRK energy security. Candidate initiatives include international gas and oil pipelines and transmission lines, shared liquefied natural gas (LNG) import facilities, and oil refineries, as well as shared projects to improve energy efficiency and deploy renewable energy systems throughout the region. At its nuclear complex at Yongbyon, the DPRK has an operating reactor based on gas-cooled “magnox” technology, fueled with natural uranium and used to produce plutonium (and some heat), and an experimental light-water reactor fueled with enriched uranium that was constructed over the last eight or so years but apparently has yet to operate (see Figure 5‑1, below). Apart from the direct threats posed by the DPRK’s nuclear weapons programs, North Korea’s current and planned use of nuclear technologies may present severe regional and international problems with regard to nuclear security and safety. Possible loss of control of nuclear materials due to instability in the DPRK itself associated with a leadership transition, for example, may make the DPRK a source of fissile material and even weapons that may no longer be under strict central control. This possibility presents an extreme imperative to neighboring states and to other parties to the Korean conflict to intervene to ensure that nuclear materials do not cross borders or fall into the hands of individuals likely to use them. Under conditions whereby the DPRK returns to the denuclearization and nuclear disarmament pathway, it is almost certain that the DPRK will insist on a meaningful element of nuclear power development as part of an overall energy assistance package. Engaging the DPRK on nuclear energy topics related to its two main reactors at Yongbyon and other nuclear infrastructure could range from training and regulatory assistance on nuclear safety to development of small modular reactors suitable for deployment in the DPRK electricity grid to participation in a regional uranium enrichment consortium. These options are discussed at greater length in Attachment A-6 of this paper. In summary, the DPRK will continue to view membership in the “nuclear energy club” as essential for securing its status among nations, and, given the history of nuclear power being a part of previous negotiated agreements on the DPRK’s nuclear weapons program, in receiving what it has previously been promised, There are various forms of nuclear energy sector engagement with the DPRK—ranging from training in nuclear safety and regulation, to regional cooperation on uranium enrichment and other fuel cycle activities, to joint ventures in development and deployment of small modular reactors—that could be elements of an energy assistance package that is part of a comprehensive security settlement of the DPRK nuclear issue, while simultaneously serving to help to bring the DPRK’s nuclear facilities under international supervision. A selection of suggested energy sector technologies and processes for energy sector redevelopment in the DPRK are provided in Attachment A-7 to this paper. These energy sector options address DPRK energy insecurity in a variety of ways, and would be logical elements to offer as inducements to the DPRK for engagement and, in a coordinated, consistent, and stepwise fashion, as benefits to offer the DPRK in return for concessions on its nuclear weapons and related programs. Most of these options—all of which, in our view, are crucial pieces of the redevelopment puzzle for the DPRK—have elements that can be implemented in the short-term (for example, capacity-building and humanitarian aid), and medium-term (for example, demonstration projects), but all, ultimately, will require a concerted program of assistance over many years. The options suggested range from wholesale replacement of the DPRK’s electricity transmission and distribution grid to development of renewable energy systems, deployment of energy efficiency throughout the DPRK economy, and rebuilding rural infrastructure to allow the DPRK to better feed its people. Notably, many of these options are also of keen interest to the DPRK. This interest was evidenced in Nautilus Institute’s interactions with DPRK delegations from 1997 through 2014 (as indicated, for example, in Figure 6‑1), but also appears to a large extent in the document Intended Nationally Determined Contribution of Democratic People’s Republic of Korea, dated September 2016, and submitted to the United Nations Framework Convention on Climate Change (UNFCCC). The DPRK’s “INDC” submission provides insights on topics such as the official policies on climate change and other environmental issues, on the DPRK’s intended energy-sector (and more broadly, economic) growth through 2030, and the DPRK’s “wish list” of energy-sector and other technologies—at least those with potential to reduce greenhouse gas emissions—for which it would propose to seek international assistance in implementation. This “wish list” has many commonalities with the listing of potential cooperation projects described in Attachment A-7 and in numerous papers and reports by Nautilus authors. A possible benchmark for judging the minimum value of a package of energy aid are the values of energy aid packages that were part of previous agreements, and most notably, the value of the two light water (LWR) reactor units that were being built at Simpo by the Korean Peninsula Energy Development Organization (KEDO) under the terms of the 1994 Agreed Framework. It is possible to design a package of energy sector aid that has approximately the same perceived value to the DPRK (based on total cost) as the two never-completed LWRs, but in fact offers much more to reduce DPRK energy insecurity than the two LWR units ever could. As shown in Figure 6‑2, below, the two-LWR-alternative package provides energy earlier than the LWRs, and over time provides more than 15 times as much energy that can be used in the DPRK economy than do the LWRs. In summary, there are a variety of energy sector engagement measures, ranging in scope from training in energy efficiency measures for a small DPRK delegation to renewable energy/humanitarian pilot projects to refurbishment of the DPRK T&D grid, in which North Koreans have expressed keen and consistent interest. A package of such engagement measures, starting small and building as agreements on nuclear weapons security issues are made and implemented, should be a key component of negotiations toward settlement of the DPRK nuclear weapons and related issues. Helping the DPRK to implement sustainable solutions to its long-term energy problems is a necessary, though not sufficient, condition for enduring success in getting the DPRK to give up or place under international oversight its nuclear weapons, nuclear materials, and nuclear weapons programs, including joining a NWFZ. Conversely, failing to address the DPRK’s underlying needs for energy services now unmet (or poorly met) will virtually guarantee that any solution to the nuclear weapons issue will be unachievable and unsustainable. Sanctions, even if fully implemented by the UNSC signatories, will likely make life more difficult for ordinary North Koreans, leaving yet more energy services unmet, but are unlikely to dampen the resolve or significantly reduce the wherewithal of North Korean leadership to pursue its missile and nuclear weapons programs. The options for a sustainable solution to the linked DPRK nuclear weapons and energy insecurity issues are to develop small- and large-scale conventional energy supply options, both domestic-DPRK and regionally networked, to assist with renewables and demand-side management (energy efficiency) options; and to develop nuclear fuel cycle support and possibly joint, safe small LWR options. We do not believe that the KEDO LWR project itself or anything resembling it will be ever resumed and completed, both because the United States and its partners are unlikely to agree, but also because the DPRK itself may have decided that the KEDO approach is no longer viable, given the mismatch of such large reactors with its now (and even in the late 1990s/early 2000s, when the KEDO project was ongoing) fragmented and relatively small power grid. Nonetheless, the deal that the DPRK made with the international community in 1994 that included the KEDO reactors remains a benchmark against which the DPRK will inevitably measure other engagement offers; and may form a useful precedent and prior agreement on which to “size” an updated energy assistance package as part of a comprehensive security settlement that also resolves the DPRK nuclear issue. Engagement options that involve energy efficiency and renewable energy initiatives are generally “robust” for application in the DPRK, fulfilling many different considerations with few “downsides”. One aspect of such options that should not be overlooked, however, is that they will require a good deal of organization and coordination per unit of cost—relative, say, to work on a single major power plant, or provision of tankers of heavy fuel oil. This requirement has many benefits, in terms of capacity-building and intercultural interactions, but will need good communications between the groups providing assistance, and between those groups and their DPRK counterparts, to be effectively implemented and administered. Patience and consistency on the part of all parties in developing and implementing these and all cooperation options will also be vital. Larger-scale options involving regional energy networks that contribute to regional economic integration, as well as economic integration of the Koreas, may have significant benefits, but will likely be candidates for longer-term application. They have the advantage that they are based on projects that are inherently economic from the perspective of regional participants, and which also provide some benefit to the DPRK, rather than projects that treat the DPRK as a separate energy problem to be solved solely in terms of local energy economics onto which are superimposed geo-strategic imperatives related to nuclear weapons by all parties. Generally, we suggest that smaller, local projects that entail extensive human capacity-building will generate more development and more political good-will than very large, long-term projects. Considering the energy import/export needs and goal of regional players—such as the Russian Far East, China, and the ROK, will help planners to understand how to best integrate the DPRK into the regional energy economy while avoiding problems in doing so. This will take careful, site-specific and project-specific joint design, including access to sites and information that the DPRK has hitherto been loath to provide. The DPRK’s interest in and current efforts to develop nuclear energy systems cannot be overlooked in developing plans for energy sector engagement. There are approaches to regional nuclear cooperation, starting with capacity-building on nuclear safety and related issues, that could, over the next two to three decades—and assuming favorable political conditions—build toward integrating the DPRK with other nations in the region in cooperative nuclear energy projects. These projects would support the goals of a Korean Peninsula Nuclear Weapons Free Zone with regard to transparency of nuclear materials handling and non-proliferation of nuclear weapons materials. To address the inextricably linked issues of the DPRK nuclear weapons and missile programs and its fundamental energy insecurity, it is imperative that the international community develop a set of options for DPRK energy sector assistance that can be offered in return for reciprocal, carefully calibrated, and precisely defined commitments on the DPRK side to meet its nuclear disarmament obligations. These options must be designed to be phased in to match the scale, speed and importance of whatever actions the DPRK agrees to take, and subsequently verifiably implements, to reduce its threat of nuclear weapons and missile development, deployment, and use. The DPRK’s obligations likely will come in three phases, with overlap between them. The first is freezing its missile and nuclear testing, and possibly its fissile material production. The second would be dismantling its missile and nuclear testing facilities, and possibly its missile production and nuclear fuel cycle capabilities, including enrichment. The third phase would be the incremental dismantlement and removal of all nuclear weapons-related hardware and software, and full disclosure of weapons-related activity and capacities, including nuclear-capable personnel. The DPRK’s fulfillment of the obligations in each of these phases would also require full monitoring and verification acceptable to and likely implemented by the three NPT-nuclear weapons states that are directly parties to the Korean conflict, and by international agencies such as the International Atomic Energy Agency (IAEA). In phase 1, a package of fast (delivering energy services in 3-6 months from start of work), small, and affordable energy assistance using diverse technologies would provide the ability for the five parties plus other partners such as the EU to demonstrate their good faith intention for follow-on assistance to the DPRK. Other steps might entail providing assistance for the DPRK to resume coal exports to China based on provision of clean coal technology and occupational health and safety training and equipment critical to meet the basic human rights of the DPRK workforce working in the coal mines. In the second phase, in addition to expanding the package of small, fast, cheap items implemented at the outset, a set of more valuable, larger-scale but still discrete options might be offered. Examples include provision of a floating power barge, perhaps either using one or more small nuclear reactors (from Russia, or from the ROK, when units from the latter are available) or a gas-fired unit fueled with liquefied petroleum gas (LPG), to provide electricity for a coastal DPRK city, such as Nampo or Rason, or another designated economic zone in the DPRK. Such power plants (and fuel for same) could be rapidly delivered, and, if the DPRK does not live up to the terms of its freeze agreement, equally rapidly withdrawn, and the energy delivered would be designed so as to avoid any diversion for direct DPRK military use. These are projects that could be brought on-line within a year, and could be implemented fully over the 2-3 year period likely required in phase 2 for completion of facility dismantlement. In phase 3, which make take as much as a decade to complete or even longer, large-scale and capital-intensive projects might be undertaken. This would include refurbishing the DPRK’s hydro-electric dams, its coal-fired generators where economically justified, and its existing grid, also where electricity end-uses justify the investment in social and economic terms. The core of the assistance that would be provided in phase 3 would be to create or complete regional energy networks from Russia, Mongolia, and China to the ROK and even Japan, including electric power tie lines, gas pipelines, coal trade, etc., which serve the economic and energy security interests of all of the states in the region, not just that of the DPRK. Such projects would embed the DPRK in networks of regional interdependence that insulate each of the two Koreas against political manipulation by the other due to the interest of the two great powers integrated into these energy schemes. Energy from these networks can also be provided, where economically justified and technically possible, to the DPRK’s own energy consumers. Energy from international networks, however, is unlikely on its own to be sufficient to support rapid energy development and energy infrastructure needs in the DPRK’s domestic energy economy. For that purpose, large-scale funding, likely from external partners such as Japan, using intermediaries such as the development assistance and infrastructure development banks, will likely be deeply involved in the DPRK’s energy sector with a view to the long term, once its nuclear disarmament is determined to be complete and certified to be so by the UNSC and other key parties. As we noted at the outset, the DPRK has spent more than two decades developing its nuclear and missile “deterrent”, and will not trade it away cheaply, if at all. There is no question that bargaining to scale back the threat that the DPRK poses will be difficult and slow. As a consequence, the international community must be ready with a thought-out set of energy assistance options, varied widely in magnitude, speed of deployment, and type, that are ready to offer and implement in a “plug and play” fashion as the process of negotiations with the DPRK demands, as part of the sequencing needed to freeze, dismantle, and disarm the DPRK’s nuclear weapons program. The DPRK’s energy sector needs are vast, and at the same time, as indicated by the only partial listing of problems below, many of these needs are sufficiently interconnected as to be particularly daunting to address. As one example of the interrelations of energy problems in the DPRK, renovating the DPRK’s coal mining sector is made more difficult because coal mines lack electricity due to electricity sector problems, and electricity generators in some cases have insufficient coal to supply power demand because of coal mine problems and problems with transporting coal to power plants. Energy supply difficulties due to infrastructure degradation. Degradation of electricity generation and transmission and distribution (T&D) infrastructure, and other supply-side infrastructure, has been ongoing for many years, due largely to lack of spare parts and modern technologies. Much of the DPRK power generation and almost all of its substation equipment needs rebuilding or, more likely, replacement, as does much of its coal mining and oil refining capacity. In the last decade there has, however, been modest local rehabilitation of power plants and T&D systems in a few areas and for key purposes (including, reportedly, military facilities), as well as completion, sometimes with mixed results, of some new hydroelectric plants (megawatts to tens of megawatts). The DPRK’s forest stocks have been severely depleted by excessive fuelwood use caused by the lack of other fuels for household cooking and heating. Inefficient and/or decaying demand-side infrastructure: Much of the energy-using infrastructure in the DPRK is reportedly (and visibly, to visitors to the country) antiquated and/or poorly maintained. Buildings apparently lack significant, and often any, insulation, and the heating circuits in residential and other buildings for the most part apparently cannot be controlled by residents. Industrial facilities are likewise either aging or based on outdated technology, and often (particularly in recent years) are operated at less-than-optimal capacities (from an energy-efficiency point of view), if they are operated at all, and likely require upgraded or replacements to coal-fired boilers and electric motors and drives. Many transport systems are similarly antiquated. Recent years has seen some new building, however, particularly in Pyongyang and also associated with newly-developed markets for (mostly imported) manufactured goods and foodstuffs. Suppressed and latent demand for energy services: Lack of fuels in many sectors of the DPRK economy has apparently caused demand for energy services to go unmet. Electricity outages are one obvious source of unmet demand, but there are also reports, for example, that part of the DPRK fishing fleet has periodically been idled for lack of diesel fuel. Residential heating is reportedly restricted in the winter to conserve fuel, resulting in uncomfortably cool inside temperatures. Some observers report that some public-sector and residential buildings have not received heat at all in recent years. The problem posed by suppressed and latent demand for energy services is that when and if supply constraints are removed there is likely to be a surge in energy (probably particularly electricity) use, as residents, industries, and other consumers of fuels increase their use of energy services toward desired levels. This is a further argument for making every effort to improve the efficiency of energy use in all sectors of the DPRK economy as restraints on energy supplies are reduced. Lack of energy product markets: Compounding the risk of a surge in the use of energy services has been the virtual lack of energy product markets in the DPRK. Without pricing reforms—particularly, at present, for electricity, coal, and for petroleum fuels distributed by the state—there will be few incentives for households and other energy users to adopt energy efficiency measures or otherwise control their fuels consumption. Recent years have seen limited attempts by the DPRK government to reform markets for energy products. Some private markets exist for local products like firewood, and some commercial fuels have in recent years reportedly been traded “unofficially” (on the black market) as well as, at least in cities, openly, at vehicle fueling stations. For the most part, however, energy commodity markets in the DPRK do not exist as they do in most industrialized nations. Energy consumers are also unlikely, without a massive and well-coordinated program of education about energy use and energy efficiency, to have the technical know-how to choose and make good use of energy efficiency technologies, even when and if such technologies are made available. Coal, almost all of which is domestically produced. The types of coal mined in the DPRK are anthracite and brown (or lignite) coals. Since about 2000, and until the recent constrictions caused by UNSC sanctions on DPRK coal sales, coal production for export to China had been rising annually in volume, reaching nearly 20 million tonnes—on the order of half of national output—by 2015. The DPRK’s coal reserves are large, probably in the billions of tonnes. Petroleum, including crude oil imported (all or nearly all) from China, and typically a smaller amount of imported refined petroleum products from China, Russia, and in some cases other sources. The DPRK has two major refineries, only one of which (in the DPRK’s Northwest) has reportedly been operating in recent years. Wood and Biomass, including fuelwood and commercial wood harvested from the DPRK’s extensive but degraded forest area, and crop residue biomass. Hydroelectric power from a number of hydroelectric plants situated along the major and smaller rivers in the DPRK. Crude oil and natural gas resources exist in North Korean territory, though these are not yet well characterized, appear to be located mostly in offshore areas, and have been only tapped in a limited fashion to date. Geothermal resources, in which the DPRK has shown an active interest, though the extent of geothermal resources in North Korea are not well known. Wind power, though the average wind speeds in the DPRK are fairly modest, with the most favorable wind regimes located offshore (particularly in the Northeast) and along the high ridges in the middle of the country. Solar energy resources, though the DPRK’s solar regime is no more (or less) favorable than that of the ROK, Japan, or the more temperate areas of the United States (for example, the mid-Atlantic States or Pacific Northwest). Tidal energy resources, though these too have been tapped to only a limited extent. Nuclear energy resources, namely, uranium and thorium. In our over 20 years of undertaking analyses of the DPRK energy sector, Nautilus has been using all available information, including indirect data, estimates, and comparisons with other nations using similar technologies, to assemble coherent—though doubtless not entirely accurate—quantitative estimates of energy supply and demand in the DPRK as an input to the knowledge base underlying discussions of engagement with North Koreans. Below we provide the highlights of our estimates of historical and more recent—albeit rough—energy supply and demand in the DPRK. As shown in Figure A‑1, the industrial sector is the largest consumer of all commercial fuels—particularly coal—in the DPRK. The transport sector consumes a substantial fraction of the oil products used in the country. Most transport energy use is for freight transport; the use of personal transport in the DPRK is very limited, relative to most industrialized nations, but seems to have been increasing in recent years. The residential sector is a large user of coal and (in rural areas, though more recently, reportedly, in urban and peri-urban areas as well) biomass fuels. The military sector (by our estimates) consumes an important share of the refined oil products used in the country. The public/commercial and services sectors in the DPRK consume much smaller shares of fuels supplies in the DPRK than they do in industrialized countries, due primarily to the minimal development of the commercial sector in North Korea. Wood and crop wastes are used as fuels in the agricultural sector, and probably in some industrial subsectors as well. Figure A‑2 shows the increasing importance of biomass fuels to the DPRK economy since 1990. Electricity, or rather, the lack of same, has arguably the most important energy-sector driver of DPRK policies toward the outside world. The estimated per-capita electricity end use in the DPRK in 1990 was about 1,500 kWh per capita. By comparison, overall 1990 electricity demand in South Korea was about 2,200 kWh per capita. Per capita electricity consumption in the DPRK has declined very substantially since, due largely to reduced availability of power, though also as a results of reduced economic activity. As with coal, the bulk of the electricity demand in the DPRK has traditionally been in the industrial sector, with the residential and military sectors (by our estimates) also accounting for significant fractions of electricity use. Figure A‑3 shows our estimates of electricity demand by sector in selected years since 1990. Electricity generation as of 1990 was primarily hydroelectric and coal-fired, in approximately equal proportions, with a small amount of oil-fired electricity generation capacity associated with the oil refinery at Sonbong and in two other plants. Much of the generation capacity was installed in the 1970s and 1980s, although a significant portion of generation facilities—particularly hydroelectric facilities—date back to the Japanese occupation. Many of the hydroelectric facilities in the DPRK are reported to be of the “run-of-river” variety, which means that their output is more subject to variations in stream flow than plants that rely on larger impoundments with greater water storage. Since 1990, the ratios of hydro to “thermal” power production have varied from year to year, based on the availability of hydro power (including low output in the mid-1990s following plant damage due to flooding) and on the condition and fuel supply for coal-fired power plants. Figure A‑4 presents our estimates of electricity output by fuel type in the DPRK over the last two decades. Lack of power makes outside investment in mining, manufacturing more difficult/less attractive; and so on. Recent years have seen many citizens and businesses/organizations in the DPRK take electricity provision into their own hands. Doing so has taken the form of purchase and operation of diesel and gasoline-fired generating sets—totaling, by our estimates, on the order of 1000 MW of capacity through 2016—as well as purchase of hundreds of thousands of small solar photovoltaic panels (PVs), which have been seen blooming from the roofs and balconies of apartment buildings and other dwellings all over the country. The generation capacity of these PVs, imported from China and/or assembled in the DPRK from components imported from China, may total on the order of 20 MW, and their aggregate output is thus not significant with respect to the country’s overall energy balance. For each panel or system, however, the small amount of power that they provide mean a great deal to individual households, where they provide power for LED (light-emitting diode) lamps and for personal entertainment/information and communications electronics. Though the Democratic Peoples’ Republic of Korea (the DPRK or “North Korea”) has been chronically short of many commercial forms of energy since the breakup of the Soviet Union in 1990, one resource that it does have in abundance is coal. Electricity supply problems, due to a combination of aging infrastructure, lack of access to/funds for technological updates, and, often, fuel supply constraints, have rendered electricity supplies unreliable or worse in most parts of the nation. Similarly, the lack of indigenous oil and gas production (though apparently some resources do exist, including offshore) have made North Koreans dependent on imports of crude oil and oil products, mostly from China and Russia. Per capita, by our estimates (the DPRK does not publish regular energy statistics), North Korea consumed about one thirtieth (1/30) as much electricity as South Korea, and a tenth as much as China, in 2014, along with a tenth as much overall energy supply per capita as South Korea (despite heavy use of biomass, which burns with low efficiency) and less than a third as much as China. The DPRK does, however, have billions of tonnes of coal resources. Since 2000, and particularly since 2010, North Korea has been increasingly exporting anthracite coal, primarily to China. Coal has thus been a major source of export earnings for the DPRK, and as a consequence constitutes a large target for the increased economic sanctions recently imposed on the DPRK by the United Nations Security Council (UNSC) in response to the DPRK’s most recent nuclear weapons test. The effect of these most recent sanctions on the DPRK’s economy, and relatedly (but not necessarily directly) their effectiveness in positively influencing DPRK behavior, depends in large part on the rigor with which this particular set of sanctions will be implemented by China. The DPRK’s coal exports to China, as reported in China’s customs statistics, were less than a million tonnes (Mt, all tonnes herein are metric tonnes) annually until 2004, when exports began to rise markedly, averaging about 3 Mt per year from 2005 through 2009. By 2013, DPRK coal exports to China were nearly 17 Mt, and reached their peak at 19 Mt in 2015. Full-year statistics for 2016 are not yet available as of this writing, but will be similar to 2015, even with sanctions beginning in the last month of 2016. Placed in the context, the level of China’s imports of coal from the DPRK in 2015/2016 amounted to over half of our estimate of the DPRK’s total coal production even in 2014, when China’s imports from the DPRK were over 15 million tonnes. This means that a large portion, possibly even a majority, of the DPRK’s coal output has been routed to China in the last three years. The value of the DPRK’s official trade for 2015, as indicated in the UN Comtrade reporting system, was somewhat less than USD 3.1 billion, of which China accounted for 82 percent, or $2.5 billion. (India was a very distant second, at about $100 million.). Of this total, just under $1.1 billion, or 42 percent, were from China’s imports of coal from the DPRK. Almost as large were China’s imports of items of clothing from the DPRK, which totaled over $800 million, although it is our guess, based on customs statistics that show the DPRK importing on the order of $600 million worth of goods from China in categories related to textile production (such as “Manmade Filaments, Including Yarns And Woven Fabrics Thereof”), that these clothing imports represent mainly goods made in the DPRK for China using North Korean labor and Chinese materials. Beyond coal and clothing, most of the remainder of the value of DPRK’s exports to China fell into the categories of iron and steel, non-metallic mineral products, metal ores, and “fish and crustaceans, molluscs and other aquatic invertebrates”. China’s exports to the DPRK for 2015 sum to a value of just under $3 billion, meaning a trade imbalance between the two nations of about $500 million. “By other terms of the resolution, the Council prohibited Pyongyang from exporting copper, nickel, silver and zinc, new helicopters and vessels, as well as statues. It decided further that all Member States shall take steps to limit the number of bank accounts held by diplomatic missions and consular posts, as well as diplomats of the Democratic People’s Republic of Korea within their respective territories. Member States should further close existing representative offices, subsidiaries or bank accounts in the Democratic People’s Republic of Korea within 90 days, unless required for the delivery of humanitarian assistance. “The Council decided further that all Member States shall suspend scientific and technical cooperation with persons or groups officially sponsored by, or representing, the Democratic People’s Republic of Korea except for medical exchanges. It added 11 individuals to the list of those subject to a travel ban and asset freeze, as well as 10 entities to the list of entities subject to an asset freeze. The Council also added 11 items to the list of nuclear- and/or missile-usable items and three to the list of chemical/biological weapons-usable items of which Member States should prevent the supply, sale or transfer to the Democratic People’s Republic of Korea. Assuming that DPRK coal exports for the first 10 months of 2016 were, as reported, 18.6 million tonnes, and that the final two months of the year would in the absence of sanctions have produced the same average monthly level of exports as the first 10 months—albeit probably at higher prices, due to various changes in the coal market in China—limiting the DPRK’s exports over the final month of 2016 to 1 million tonnes would have reduced DPRK coal exports by about 900 thousand tonnes, worth on the order of $90 million. In 2017 (and, presumably, beyond), assuming an average price for coal over the next year in the range of prices prevailing in the latter half of 2016 (about $80-$100 per tonne), reducing the DPRK’s coal exports to 7.5 million tonnes annually would reduce exports by on the order of 9 to 10 million tonnes, and revenues by on the order of $700 million to $1 billion. Losing up to a billion dollars in annual coal revenue would decrease the DPRK’s overall income from reported exports to all countries by on the order of 23 to 33 percent, and income from exports to China by about 28 to 40 percent. If not compensated for by other changes in imports or exports, this loss of trade income would increase the DPRK’s trade deficit by on the order of 150 to 230 percent—that is, would double or triple its trade deficit—with similar impacts on the DPRK’s trade deficit with China (which accounts for over 95 percent of the DPRK’s overall trade deficit). The closed nature of the DPRK’s economy, and the difficulty of valuing goods and services in an official economy that is not market based, coupled with an unofficial economy that is (probably largely) market-based but keeps no records, makes estimation of overall GDP in the DPRK a difficult task. Indeed, 2015 estimates of the DPRK’s GDP by the ROK’s Bank of Korea and Hyundai Institute appear to differ by about 50 percent, and do not even agree on whether the DPRK’s economy expanded or contracted in 2015. Based on estimates of the overall size of the DPRK economy, the loss of coal revenue due to sanctions would amount to on the order of 3 to 7 percent of overall GDP, depending on whose estimate of North Korean GDP (and which estimate of future coal price) one uses. This is certainly a significant impact, but understates the overall effect of the coal export cap on the DPRK economy because the loss in export revenue represents a loss of hard currency that cannot easily be compensated for by domestic economic activity. That is, the loss of export income means that the DPRK cannot buy international goods at the same level, and there are many international goods for which domestic substitutes are difficult to obtain in the DPRK. This, of course, is the whole point behind sanctions—that the DPRK will be denied the hard currency needed to be able to purchase desired international goods, including those related to its nuclear weapons program. It is unlikely, however, that the reduction in the DPRK’s hard currency earnings would be felt uniformly across all of the types of goods it imports. Given the DPRK’s emphasis on the military, one would expect that to the extent that the coal export cap affects the imports of commodities, those related to the military—and in particular the nuclear—sector would be the last to be affected by the need to economize. Moreover, as noted below, there may be a number of “work-arounds” that the DPRK and its trade partners (mostly China) might use to blunt the actual impact of the new UNSC sanctions on the DPRK’s economy. The DPRK’s own coal use in 2010, by our estimates, amounted to about 17 Mt, of which about 3 Mt was for power generation and district heat, 7 Mt for the industrial sector, 5 Mt for the residential and commercial/institutional sector, and 1 MT for the military. In practice, admittedly, separating military and industrial coal demand is not straightforward, since much of the industrial sector is operated by or for the military (or both). In a more “normal” economy one might think that if DPRK coal exports are dramatically reduced, as they would under full compliance with the November UNSC resolution, prices of coal for local consumption might fall, and availability of coal for district heating, home heating, and power generation might rise. This may well come to pass, to some degree, depending on the extent to which coal markets are price-controlled, and conversely, the amount of coal that is sold in official or unofficial markets. But it is also possible that the mines that have been producing probably higher-than-average-quality coal for export to China, especially those run by Chinese companies, would simply shut down in response to the export cap, thereby reducing overall DPRK output, and negating all or a portion of any domestic supply benefit that might accrue to DPRK consumers as a result of the resolution. This is in part because many of the supplies that allow the operation of DPRK coal mines producing export coal, including spare parts for equipment and even clothes and food for miners, are imported by the Chinese companies running the mines, and when the companies pull out, supplies of those essentials will dry up. Almost certainly, there is substantial suppressed demand for coal and substitutes in the DPRK due to the non-market allocation and distribution system to households and enterprises. Some portion—perhaps 20 percent—of coal not exported to China might end up used domestically even if the domestic coal price were to increase to recover the full cost of switching the supply from export to China to local users. This switch represents the upper limit on the “humanitarian dividend” that might follow from limiting exports via sanctions. This dividend would be offset, however, by lost household and enterprise income due to the shutdown of mines closed due to the reduction in coal exports due to sanctions. As a rough estimate of this lost income, we assume (as described above) that the overall annual reduction in DPRK coal exports due to sanctions is 10 Mt, and that the domestic economy absorbs 2 Mt of this reduction. This means that overall annual DPRK coal output is reduced by about 8 Mt. Further assuming that coal miners working in these for-export mines earn a wage of $100 per month, work 25 days per month, and produce about 4 tonnes of coal per day, a reduction of 8 Mt means a reduction of $8 million in annual income for miners’ households (only). Add in reductions for other mine workers, for businesses servicing the mine, and for indirect economic activity around the mine, and a multiplier of 10 seems plausible, arguably resulting in an annual reduction in humanitarian welfare on the order of $80 million. This amount, though obviously a very rough estimate, is still a small portion of the overall reduction in the DPRK’s income from coal exports, as most of the coal income reduction would fall on the DPRK state, Chinese mine operators, and DPRK elites, in some probably un-knowable combination. The sanctions placed on the DPRK by the United Nations Security Council (UNSC) in response to the DPRK’s most recent nuclear weapons test include restrictions on the exports of coal from the DPRK to other nations. These sanctions will affect the DPRK’s coal trade with China almost exclusively, since China is virtually the sole importer of DPRK coal. Although the new sanctions, under UNSC Resolution 2321, dated November 30, 2016, could reduce the DPRK’s hard-currency income by on the order of a billion dollars annually, and coal exports by 9 to 10 million tonnes (Mt) per year, there are a number of “work-arounds” that could be employed by the DPRK and China to soften the blow on the DPRK’s coffers. These “work-arounds” could include “off-books” coal trade between the partners, lack of enforcement of restrictions on export and transport of coal by local Chinese customs and other officials, the designation of China’s exports (for example, of food, fuel, and clothing) to the DPRK as “humanitarian”, and/or China allowing DPRK to import goods from China on a concessional (or deferred payment) basis. In addition, it is possible, given recent trends in China’s coal market, that the restrictions under UNSC Resolution 2321 are in line with what China would have done anyway with respect to DPRK coal imports, and thus do not represent much of a change in plans for China overall. Each of these possibilities is discussed briefly below. China—or more specifically, Chinese businesses—could import coal from the DPRK on an “off-books” basis, that is, without recording the trades in China Customs Statistics. These imports, though of course difficult to find evidence for without specific testimony from traders on one or both sides of the border (which is unlikely to be forthcoming), could occur with the tacit acceptance of Chinese officials or without their knowledge, including shipments crossing the border (by land or sea) through routes where customs officials are not present. Such “off-books” trades of coal by the DPRK could boost the DPRK’s hard currency earnings without counting towards the sanctions total. Alternatively, coal could be bartered for Chinese goods, therefore avoiding the exchange of hard currency but displacing the need for hard currency by the DPRK. A barrier to such off-books trades is the fact that most coal traded between the two nations travels by sea, and sea-going freighters and barges are hard to conceal from satellites tracking marine traffic. Also, as DPRK/China coal trade uses many, and busy, ports in China, coordinated collusion on a broad scale to avoid customs rules and sanctions might need to involve so many officials and traders as to be implausible, particularly, for example, if it were on the level of several million tonnes per year of off-books shipments. Even for trade in coal that does come under the purview of customs, it is possible that the actions of local Chinese customs officials may not be fully consistent with China’s national commitment to the new UNSC resolution. Under the resolution, customs officials would presumably be obliged to turn back coal shipments once annual quotas were reached. Officials could fail to do so either by not being adequately informed about the quotas (and/or how closely the quotas were being approached), or by knowing about the quotas but allowing non-compliant trades through anyway, including in exchange for payments of some kind from traders. “Resolution 2321 formulates new measures, showing the resolve of the Security Council, and also points out they must avoid creating adverse consequences for North Korean civilian and humanitarian needs, and are not intended to create negative effects on normal trade”. It is unclear how Chinese officials at the national and local levels would interpret “negative effects on normal trade” with regard to Resolution 2321, since it most certainly is designed to reduce normal trade in coal between the DPRK and China, or at least reduce trade from levels that have been arguably “normal” in the past several years. The Resolution also includes a clause on transportation of goods, including the de-listing of ships owned, operated, and/or crewed by the DPRK, allowing inspection of North Korean “cargoes” of other forms (including in the personal luggage of DPRK officials—important for other reasons but unlikely to be of consequence for coal exports). For coal trade in particular, since it is almost exclusively between the DPRK and China, interdiction and inspection of cargoes that may violate the terms of the agreement will depend almost entirely on Chinese enforcement activities, since once outside the DPRK the shipments will likely almost exclusively transit Chinese land territory or territorial waters. Chinese interdiction and inspection thus becomes central to the coal export provisions of the Resolution having an effect on the DPRK economy. The DPRK’s trade deficit with China in 2015 was already nearly half a billion dollars. Even if the DPRK’s hard currency income decreases as a result of the new cap on coal exports, China could conceivably continue its exports of food, fuel, and other goods to the DPRK at the current (2015/2016) level and simply let its trade deficit with the DPRK expand. What accounting mechanisms might be used to allow the expansion of the trade deficit to happen are unclear, but one could imagine that means such as implicit or explicit loans to the DPRK government from the Chinese government, subsidies for Chinese traders to supply goods to the DPRK, outright gifts of goods (for example, on humanitarian grounds), subsidized prices for some commodities, and/or some other mechanisms might be used to allow the trade deficit to expand without hurting individual Chinese businesses that trade with the DPRK. China could designate some of the DPRK’s coal exports to China—and/or exports of other commodities, such as ores and metals, also on the UNSC list—as being required on humanitarian grounds to enable the DPRK to pay for food, medicine, clothing, fuel for non-military sectors, and the like, as well as to provide welfare to the considerable number of working households engaged by the coal mining sector in the DPRK. It has been suggested that China has used this argument in response to previous UNSC resolutions calling for reductions in imports from the DPRK. China could calibrate the degree to which it designates DPRK coal exports as humanitarian to seek what it perceives as a balance between showing compliance with/support for the UNSC resolution (possibly factoring in its response to unrelated geopolitical issues, such as friction over new US policies) with reducing imports from the DPRK sufficiently to send a message of displeasure to the latter, but not enough to cause significant stress on the DPRK civilian economy. China produced over 3.7 billion tonnes of coal in 2015, and consumed about five percent more than it produced. As such, its net imports were on the order of 100 million tonnes. Therefore even at annual exports of close to 20 million tonnes, the DPRK provides a tiny fraction of China’s coal, and far from a majority of China’s coal imports. The DPRK, however, does provide a majority of the imported anthracite coal used in particular industries in China, including steelmaking, and is of particular importance to Chinese industries consuming anthracite in areas, including Southeast China, far from domestic Chinese anthracite producers. So although other domestic and imported (including Australia and Russia) sources of the coal supplied in recent years by the DPRK are available for China, North Korean coal has filled a useful and apparently cost-effective niche. Still, China’s coal consumption and production have both actually fallen slightly in the last three years, as China works to move toward the use of cleaner fuels and using energy more efficiently. Thus China is reducing its coal imports anyway, and is reducing its own domestic coal supply capacity (which is more than adequate to meet its needs) to increase efficiency. As a consequence, even though DPRK coal fills a special need in China, China arguably does not need to import coal from the DPRK as much as the DPRK needs to export coal, and the impact of the UNSC cap on DPRK exports of coal will have little impact on China’s overall coal supply, though it may inconvenience and increase costs for some industrial plants that have recently depended on DPRK coal. The coal export sanctions can be expected, of course, to affect the volume of business done by particular traders, and possibly increase costs to some Chinese consumers of DPRK coal. Following the logic outlined above, if China cut DPRK exports by 2 Mt of coal to demonstrate that it is complying with the UNSC resolution on coal exports—which it incidentally might have done anyway due to the state of Chinese coal demand and trends in global coal supply—then 7-8 Mt of coal remains designated by the UNSC resolution as sanctionable by China. The extent to which China designates this amount as either to be reduced as a part of sanctions or to be included in a humanitarian (and/or “normal trade”) exemption, in some combination, based on their estimate of what the DPRK could not consume domestically if exports stopped, is a political choice for the Chinese government. Thus, China arguably has leeway over about 8 million tonnes of North Korean exports that it can allow, or to variable extents, not allow, in 2017, thereby signaling to Washington that it will (or will not) cooperate on the DPRK nuclear weapons issue. Its cooperation will depend on where it perceives that the Trump Administration is heading with regard to the overall US-China relationship. At the same time, China will factor into its decision as to what level of exports to allow the degree to which it feels that the DPRK should be rewarded or punished for trouble-making or compliance with China’s demands that it not cause trouble in the Peninsula or beyond. Indeed, one might posit that Trump’s reassurance to President Xi on February 10 2017 that the United States will adhere to “our One China” policy gained the United States, for example, 1Mt of coal exports denied to the DPRK, and that the DPRK’s missile test on February 12 2017—undertaken against China’s wishes—earned the DPRK, for example, a second 1Mt of exports denied as punishment, leaving 6 Mt of coal for China to allow or deny as the year progresses. If so, it would have been an expensive week for Pyongyang—roughly $80-100 million punishment for provoking the United States with nuclear armament, and another $80-100 million punishment for the missile test. Of course, we do not know the Chinese calculus exactly for reward and punishment of the DPRK, or how much China is willing to punish the DPRK to reward the United States on bigger strategic issues (these being different payoffs, and not necessarily related). Nor do we know who exactly makes these choices in China with regard to the different parties. The same uncertainty applies to the unknowns about the Trump administration’s willingness to link consideration of China’s adherence to the DPRK coal export cap sanctions to other geopolitical issues. These coal export reduction numbers are merely indicative. One can be sure, however, that someone in China is keeping count of coal exports from the point of view of the broader politics, and the trade statistics will tell at least a part of this story as it unfolds. No-one seriously believes that the sanctions can actually impede the North Korean missile and nuclear weapons program at this stage, although they might slow those programs down marginally in some ways, and accelerate them in others (for example, by making the North Koreans even more skillful at smuggling hardware and knowledge, and further accelerating their indigenous R&D of missile technologies). Given the spectacular anti-China statements and actions made by new American President Donald Trump and his appointees in the lead up to and after the 2016 U.S. elections, it is hard to believe that China will pursue a hard line that risks destabilizing the DPRK politically or economically in order to accommodate American concerns about North Korea’s nuclear program at this time. With South Korea’s government effectively paralyzed by Park Geun Hye’s impeachment process, China is most likely to adopt a minimalist imposition of coal export sanctions against the DPRK in order to maximize social and political stability in the DPRK itself, while sending the strongest possible message to the United States and others that cooperation on strategic objectives shared by great powers is a mutual affair, not a one-way street. The coal import cap included as part of the sanctions described in UNSC Resolution 2321 has the potential to decrease the DPRK’s coal export earnings by on the order of one billion dollars, which would be about a third of their overall reported exports and thus hard-currency earnings. Such a reduction would reduce the DPRK’s ability to purchase all types of goods on the international market, though its effect on support for the DPRK’s nuclear weapons program would depend on how the DPRK government chooses to allocate the drop in revenue. In practice, however, the effectiveness of the sanctions depends considerably, as noted above, on to how China ultimately interprets the sanctions, and how stringently China chooses and/or is able to enforce the letter and spirit of the resolution. In addition, as Stephan Haggard notes, the DPRK is “deft” at avoiding and working around sanctions, and actions such as off-the-books trades in coal may cut into the actual reduction in the DPRK’s revenues that the sanctions provide. Thus far, predictably, the DPRK’s response to sanctions the sanctions has been to reject them as “an abuse of power” on the part of the UNSC. DPRK officials “warned of tough countermeasures” (though unspecified), and said that the sanctions “will inevitably escalate tensions”. Although such rhetoric is far from unprecedented on the part of the DPRK, it suggests that the additional sanctions may, at best, have both positive and negative effects on the DPRK’s behavior toward the international community. Although its trade is by far the most affected by the coal cap in the new UNSC resolution, China loses little from reducing coal imports from DPRK, given that it was reducing its coal imports anyway to stabilize its own coal supply situation. This means that China’s own energy sector interests, beyond those of its traders actively engaged in buying and selling DPRK coal, will not be significantly affected by the new resolution, and its compliance in enforcing the resolution will depend almost entirely on how it balances its perceived need to keep the DPRK economy stable enough to avoid further friction on its border with the need to assure the international community that it is doing its part to help to curb the DPRK’s nuclear weapons program. As noted above, there may be a number of ways that the DPRK and China could “work around” the DPRK coal import cap. Some of these—“off-book” coal exports, for example—will not be easy to detect without direct information from those involved in the trade and/or detailed review of remote data. Other work-arounds, such as an expanding trade deficit, could (at least in part) be detected if customs data shows a decrease in the volume and value of China’s imports of coal (and/or other commodities) from the DPRK without a corresponding decrease in China’s exports of goods to the DPRK. It will also be interesting to track whether other key, presumably unsanctioned exports of goods from the DPRK to China, such as finished apparel, expand to take up the slack as coal exports decline. An eye on the details of customs data may help to track the potential impact of the sanctions on the DPRK economy, but is unlikely to tell the entire story. Although we have noted above some of the reasons why the latest round of UNSC sanctions may not be as effective as hoped in curbing the DPRK’s spending on its nuclear weapons program, it is clear that sanctions are one of the few peaceful means that the international community has to express its dismay at DPRK behavior, and to try and influence that behavior. That said, other (non-military) options for addressing the DPRK nuclear weapons program must proceed concurrently with sanctions. Engagement with the DPRK, starting small with training projects on, for example, renewable energy and energy efficiency, and building to pilot projects in the DPRK, are a way of opening channels of communication that can be built upon over time. The key to addressing the DPRK nuclear sector remains finding a way for representatives of the international community, especially the United States and the Republic of Korea, to sit down for substantive discussions on the nuclear issue with the DPRK. The initial price for doing so may well be providing some confidence-building engagement activities of interest to the DPRK and acceptable to others. Taken at face value, this strategy implies that the United States would not trade with China or Russia, the DPRK’s two main suppliers of crude oil and petroleum products, unless those nations suspended their trade with North Korea. Even ramping up a lesser version of partial energy sanctions, as was reportedly discussed by President Trump and Japanese Prime Minister Abe after the August 29, 2017 missile test, and apparently seconded by ROK President Moon Jae-in after the September 3, 2017 nuclear test, is highly unlikely at this time, for reasons explained below. Leaving aside the insoluble difficulties that the United States would face in enforcing such trade restrictions (given that significant trades in oil products between those nations and the DPRK already bypass customs reporting), it is already crystal clear that China will not curtail the DPRK’s energy supply in response to these calls. If and when the Trump Administration is incontrovertibly committed to sitting down with the representatives of the DPRK and other parties to discuss seriously how to denuclearize the Korean Peninsula—and were the DPRK baulking at coming to the table—then one might expect China to impose energy supply pain on the DPRK by a thousand cuts, including incremental cuts of oil supply. Currently, there is no indication whatsoever that such talks will take place—indeed, President Trump tweeted after the missile test that talking is pointless. China has already made it clear that it will not impose sanctions on the DPRK’s oil supply in a way that would lead to a conflict between the DPRK and itself while failing to halt the North Korean nuclear weapons program. Indeed, we conclude that to make such cuts now is premature, and would reduce whatever influence the Chinese have left in Pyongyang. Implementing energy strangulation with massive cuts now would simply terminate their residual influence completely. The rest of this report examines what the DPRK might do to offset loss of oil if China and Russia were to accept US and Japanese demands to cut off some or all external energy supply to the DPRK. Table A-1, below, presents our previously-prepared best estimate for the year 2010 of crude oil and oil products supply and use in the DPRK. The refined products balance is presented in TJ, or terajoules, a unit of energy. (1 TJ = 10^12 joules, or a trillion joules). There are about 42.6 GJ or gigajoules (1 GJ = 10^9 joules, or a billion joules) in a tonne (metric ton) of crude oil imported to the DPRK. Since this table was last updated, the DPRK economy has grown significantly. We model this growth by assuming that oil use has expanded economy-wide at roughly 2.5% per year over the 7 years since our last analysis, so the totals in the right hand column for final oil products use have likely grown about by about 19% since 2010. Thus, total oil use in DPRK in 2017 assuming no sanctions would have been about (30,400 TJ * 1.19) / (2.6 GJ) = 36,100 TJ in 2017, or the energy equivalent of about 850,000 tonnes of crude oil imports. Expanded use of diesel fuel for power generation, mostly not associated with the electricity grid, but rather use of diesel generators by individual businesses, markets, and other organizations to substitute for intermittent grid power supplies. Greater use of oil products for transportation, especially in private vehicles. Likely expanded use of LPG for cooking, particularly in wealthier households in Pyongyang. Greater imports of refined products, probably with most of the increase in imports from Russia, either directly or, as indicated by a recent legal action by the US Department of Justice, indirectly through companies in Singapore and elsewhere. Although Chinese customs reports of Chinese crude oil shipments to the DPRK—most of which arrive by cross-border pipeline to the DPRK refinery in Sinuiju in the DPRK’s Northwest—have been irregular of late, our best guess is that Chinese crude shipments have not changed much in recent years on an annual basis. As a consequence, any increases in oil products use from 2010 to 2017 were likely to have been met by increased oil products imports. In 2010, by our estimate, the military accounted for about 31%, say one third, of total DPRK oil use, closer to 40 percent of gasoline and diesel use, and nearly half of the use of kerosene and jetfuel (which we lump together, because they are similar products). Based on detailed analysis of DPRK military energy use, we estimate that the DPRK can fight for about a month before it will run out of fuel; and it likely has stockpiles sufficient for a year of routine, non-wartime usage—could be more, but we doubt that it would be less. Thus, we can simply remove the DPRK military use or about one third of the estimated annual use from the analysis as it is already, we assume, buffered by stored products for at least a year against an energy supply cutoff by China and/or Russia. That leaves the other two-thirds of oil end-use, or roughly the energy equivalent of 585,000 tonnes of crude oil, immediately vulnerable to a supply cutoff. Add to that the equivalent of an additional estimated 510,000 tonnes of crude oil used in electricity generation—most in on-site diesel generators, and the equivalent of over 1 million tonnes of crude oil demand might be vulnerable to a cutoff. Curtailment of diesel fuel availability for half of users of on-site generation. Curtailment of gasoline use in private generators for most users. A 50 percent reduction in the use of heavy fuel oil as a starter fuel for coal-fired plants, and in the few heavy-oil-fired power plants in the DPRK. A reduction in 80% of Minerals Subsector heavy fuel oil use due to sanctions, and a curtailment in heavy oil use in cement and other subsectors, as those sectors revert entirely to use of coal; or shut down anyway due to already imposed sanctions on minerals exports. A 15% reduction in diesel truck use by substitution for diesel with biomass/charcoal/coal in older gasifier trucks, plus a 10% reduction from use curtailment/mode shifting in diesel trucks, trains, and ships/boats. A 50% reduction in the use of gasoline in autos (and gasoline trucks) by imposition of curtailments for many vehicle owners. A shift (50%) in the residential and commercial sectors from use of kerosene to electricity (including from solar photovoltaic panels) use for lighting, and curtailment in some instances, plus a reduction of LPG use for cooking by half through the use of substitute fuels (biomass and coal). Note that these reductions touch neither the military sector nor the fisheries and agriculture sector, which are needed to feed the DPRK population. The estimated reductions from each of these measures are shown in Table 2, below. Please note that these are very rough and preliminary estimates, and should be set in the context of an updated estimate of supply and demand for oil products and other fuels in the DPRK, which is not yet available. Nonetheless, these calculations reveal that should the DPRK choose to take these measures to reduce oil consumption in the face of a supply cut-off, the result could be an annual reduction in oil demand nearly equivalent to the DPRK’s typical imports of crude oil in recent years (500,000 tonnes), or nearly 40 percent of what we (albeit very crudely and preliminarily) estimates to be DPRK oil and oil products demand in 2017. Thus, if China were to cut its roughly 500,000 tonnes of oil exports to the DPRK by 50 percent, that is, by 250,000 tonnes, the substitutions and cuts that the DPRK could achieve would enable it to buffer against major effects on its economy for at least a year—similar to the buffer that is already likely in place for the military users of oil in the DPRK by past stockpiling. This analysis assumes no prior stockpiling in the non-military sector, which is unrealistic. It also takes no account of very small-scale oil production in the DPRK itself, which may be on-going. This is a very crude estimate of the possible impacts of implementing energy sanctions on the DPRK. It assumes that such drastic measures could be implemented in a few months by fiat—North Korea being one of the few places where such command directives could be undertaken with some hope of success. It also does not account for local resilience whereby local coal, hydro and biomass resources could be drawn on quickly by mobilizing labor. And, it does not reflect the additional resilience that the existence of private markets for fuels would lend to the overall system, with likely emergence of shadow prices and black markets that would drive supply towards those with the greatest purchasing power. A detailed study is needed to understand more fully how various levels of cuts to Chinese and Russian oil supplies to the DPRK would play out. a) The DPRK could quickly cut its non-military use by about 40% of its annual oil use with a variety of end use reduction and substitution measures. b) There will be little or no immediate impact on the Korean Peoples’ Army’s (KPA’s) nuclear or missile programs. c) There will be little or no immediate impact on the KPA’s routine or wartime ability to fight due to energy scarcity, given its short war strategy and likely stockpiling. d) The DPRK has the ability to substitute coal and electricity for substantial fractions of its refined product use, as well as its heavy fuel oil use (the product of oil refining) for heat production. e) The immediate primary impacts of responses to oil and oil products cut-offs will be on welfare; people will be forced to walk or not move at all, and to push buses instead of riding in them. There will be less light in households due to less kerosene, and less on-site power generation. There will be more deforestation to produce biomass and charcoal used in gasifiers to run trucks, leading to more erosion, floods, less food crops, and more famine. There will be less diesel fuel to pump water to irrigate rice paddies, to process crops into foodstuffs, to transport food and other household necessities, and to transport agricultural products to markets before they spoil. f) Past experience—including extensive field observations of the DPRK populace responding to prior deprivations—suggests that even these deep cuts and resulting scarcity and welfare impacts will not lead to social instability. North Koreans mostly will obey and endure the strictures resulting from these sanctions. g) China cannot force the DPRK to the negotiating table by means of energy sanctions, and it is unreasonable to demand that it do so, at least not before the United States demonstrates incontrovertibly that it is closing on engagement of the DPRK. Indeed, such demands are highly unrealistic and reflect “strategic confusion” in American policy towards the DPRK. h) If such demands were heeded and acted on now, the results would be counterproductive with respect to the overarching primary goals of avoiding war, resuming negotiations, and ending the North Korean nuclear threat. On September 11, 2017, the United Nations Security Council (UNSC) passed Resolution 2375 (2017), which strengthens sanctions on the Democratic Peoples’ Republic of Korea (DPRK) in the wake of the latter’s sixth nuclear weapons test on September 2, 2017. As of time of writing, the approved text of the resolution and any explanatory annexes it may contain are not on-line and press reports have varying and sometimes contradictory accounts of what it says. The Dandong-Sinuiju pipeline has historically, for most of the last two decades, been the major source of crude oil imports to the DPRK. Crude oil passing through the pipeline is refined in the DPRK’s refinery at Sinuiju. This clause pertaining to imports of oil to the DPRK through the pipeline is the key to interpreting the sanctions. The resolution also bans importation outright of all natural gas and condensates to prevent North Korea from obtaining substitutes for oil imports. There are some ambiguities in this Resolution, at least as described in the Fact Sheet, that cannot be readily resolved without additional information, though the overall meaning seems relatively clear. First among the ambiguities, there is no such thing as a “barrel of refined product” as each type of refined product has a different energy content and density. For example, gasoline, being lower in density (though higher in energy content per unit mass) than diesel oil or heavy fuel oil, has a lower energy content per barrel than those fuels. Thus, there is no simple and precise way to interpret a cap on such as “2 million barrels per year of all refined petroleum products”. As stated, it means North Korea could import any mix of these fuel types provided that the volumetric sum is no greater than 2 million barrels. In practice, this may not be too much of an issue, as the DPRK may not be able to quickly change the relative proportion of the fuels it would use for its existing equipment and vehicles, but there may be some difficulties arising from the ambiguous description of the sanctioned products when it comes time to enforce this clause. The accounting methodology related to implementation may be stated in an annex to the resolution; but if not, this phrasing presents problems for monitoring and tracking energy flows and determining compliance. Second, although we assume that the resolution should be interpreted as limiting imports to the DPRK (or exports from other nations to the DPRK) of refined product to no more than 2 million barrels, the text of the Factsheet is somewhat ambiguous in its phrasing. If it refers to the DPRK as being able to import no more than 2 million barrels of refined product overall, whether imported as refined product, or produced in the DPRK from imported crude, then the sanctions are far more stringent than appears at first glance. This is unlikely, however, to be the case because the level of current Chinese crude exports untouched by sanctions would give the DPRK more than 2 million barrels of refined product overall in any case—which would be contradictory. Therefore, we assume that the cap of 2 million barrels of refined product refers only to imports of refined product, not to overall use of products from imported oil, whether it is refined product or crude oil from which refined product is derived. Finally, the figures given for total oil use in the DPRK of 8.5 million barrels, of which 4.5 million is refined product, and 4 million is in crude oil form, comes from an unstated source, though it is plausible based on our rough estimates of overall 2017 DPRK oil use (see below). Based on our September 5, 2017 analysis (see previous attachment), a total of 2 million bbl of refined product is approximately the level of net imports (the DPRK also had some minor exports of oil products) that we estimated the DPRK to have had in 2010 (we estimate 2.2 million). The estimate in our September 5 report suggests that net oil products imports in 2017 would have been in the range of 4 to 5 million bbl, which is more or less consistent with the 4.5 million bbl stated in the US Mission to UN Fact Sheet. Crude oil exports from China to the DPRK, as recorded in Chinese customs statistics, were in the range between about 470 and 580,000 tonnes in each year between 2001 and 2013, which was the last year that China reported crude oil exports to the DPRK. We estimate (based on end use analysis) that crude oil exports have continued at about 500,000 tonnes per year since 2013. Different crude oils have slightly different energy contents per unit volume, but using a conversion of 7.33 barrels (or bbl)/tonne for 500,000 tonnes of imports of crude oil from China yields about 3.7 million barrels per year. Our estimate for 2010 was that the DPRK imported about 590,000 tonnes of crude oil which converts to about 4.3 million bbl. Summing our own estimates for crude oil and refined products imports for 2017 suggests that the US Mission to the UN estimate of 4 million barrels per year of oil product imports is plausible. And the total crude oil and oil products imports to the DPRK in 2017 really might be in the range of 8.5 million bbl, as the Fact Sheet indicates, especially if China and Russia provided the UNSC with current export information. We summarize what is known and estimated in Table A-3. We should emphasize again that our estimate of oil products imports is very rough, and is based on an assessment of what volumes of oil products the DPRK would have needed in 2017, assuming growth in end-uses from 2010 and oil product availability from the DPRK refinery similar to that of 2010. That is, our assessment of DPRK oil products imports is not based on a summation of the oil products known to have been exported to the DPRK (that is, appearing in customs statistics), because we believe that many oil products shipments to the DPRK are, in fact, not appearing in customs statistics. In short, the results shown in Table A-3 suggest that sanctions would cut refined product imports by about 56% (whereas our estimates suggest more like 61 percent if imports are limited to 2,000,000 barrels because we suggest imports were higher at 5,170,000 barrels to begin with–although this figure should be considered an upper-limit estimate. The difference is impossible to resolve without access to the energy accounting methodology used by the UNSC to aggregate refined products into “barrels,” and to the data used by the UNSC to accomplish their estimate of oil products imports. The figures provided by the US Mission to the UN imply that the DPRK would forego about 29% of total imported oil from crude and refined product; whereas our estimate is lower at 26%, based on our rough estimate of pre-sanctions refined product demand in 2017, which yields a total import figure slightly higher than that used by the UN (though, as noted above, it may well represent a maximum value for 2017 oil imports). But overall, these figures generally align. If the sanctions work as intended (that is, are not circumvented in some of many possible ways by smuggling etc. ), then sanctions significantly reduce the DPRK’s future oil products imports and use, relative to current levels (putting them back to where they were in about 2010); but will have no significant effect on crude oil imports, relative to recent levels. The levels of reduction outlined above for refined product are unlikely, for the reasons we outlined in our September 5 report, to have a significant impact on the DPRK military or nuclear weapons/missile programs. These military sectors will have priority access to refined fuels, including likely fuel from caches of significant volume that have already been stockpiled and provide a substantial buffer against the sanctions. Primarily these sanctions will affect the civilian population whose oil product uses are of lower priority to the DPRK state. The DPRK will quickly effect a combination of additional energy end use efficiency, outright cuts, and substitution of non-oil energy forms to manage the cuts. We estimated in our September 5 report [Table A-2, above] that seven measures along these lines could cut the equivalent of 3.7 million bbls of crude oil use per year—more than enough to offset the cuts imposed by this sanctions resolution. Moreover, the more that the DPRK invests now in these workarounds, the more resilient it becomes against future sanctions-driven cuts. The cost of imposing these sanctions now when they will have little effect on the desired goal—reversing the DPRK’s missile and nuclear programs—is that the UNSC members will have even less leverage in the future when it is most needed—which is when the DPRK needs some “suasion” to meet the United States in talks over freezing, dismantling, and disarming its nuclear weapons over the coming years—or decades. It is also noteworthy that the new sanctions also ban exports to the DPRK of natural gas and natural gas liquids. These fuels are not widely used in the DPRK, and the DPRK largely lacks the infrastructure to use, especially, natural gas. As a consequence, this ban will have no immediate effect on DPRK energy use, though it might cut off some options for fuel switching in the medium term (many months to years) that the DPRK might have implemented. Finally, we note that the resolution added a ban on textile exports from the DPRK to cut off a source of foreign exchange earnings. The US Mission to the UN suggested that textile exports “earned North Korea an average of $760 million in the past three years.” Speakers to the UN Security Council deliberations suggested that this figure was $800 million. Although that may indeed be true, it is only part of the story. Textile exports from the DPRK are value-added goods for which components were imported from China (that is, cut cloth is exported to the DPRK, it is sown into clothing and other articles in the DPRK, then re-exported back to China). The value of those components imported to the DPRK for textile processing and then re-exported appear in China’s customs statistics. The net income to the DPRK—assuming that the labor used to finish the garments and other goods was paid relatively little by those running the factories in the DPRK—may have been in the range of few hundred million dollars annually. Thus, the net effect on income, if the sanctions are enforced and effective, will be much less than the $760 million annually implied in the US Mission to the UN Fact Sheet. Regional oil pipelines, carrying oil from Siberia, the Russian Far East, and even Central Asia to consumers in Chinas, Japan, and possibly the ROK and DPRK. Some of these pipeline projects, most notably the Eastern Siberia to Pacific Ocean Oil Pipeline (ESPO) project, are well underway, while others are in the preliminary planning stages. It is possible that such pipelines could be routed through DPRK territory, providing some oil to DPRK refineries on the way to the major refineries in the southern ROK. Electricity grid interconnections, designed mostly to allow power produced from hydro, coal, and possibly nuclear plants in the Russian Far East to be shipped to the ROK, have also been contemplated for well over a decade. Key issues here include the technical requirements for grid interconnection, the choice of AC or DC power for transmission (and its implications on how power can be tapped from the line to consumers along the route), and economic and environmental issues such as how the power would be priced and how trans-border environmentally sensitive areas can be Here, the DPRK could obtain “rent” from hosting the line, even if the DPRK does not initially (or for some year) receive power from the line. There are technical options for including the DPRK in a grid interconnection through the Korean Peninsula that would have ramifications as well for whether the nuclear plants at Simpo are completed and brought on line—and conversely, the completion of the LWRs at Simpo would have implications for the prospects of a Russian-Far-East-to-ROK interconnection as well. The Russian Far East, however, is not the only resource-rich country in the region, as recent years have seen discussions of moving electricity generated from renewable (wind and solar) resources in Gobi area of Mongolia to buyers in China, Japan, and the ROK. Receipts of power from Mongolia by the latter two countries would require potentially complex arrangements with China or Russia, but are not out of the question. Sharing of excess oil refining capacity to avoid the need to build additional capacity elsewhere in the region. For example, there may be available capacity in Japan that is “mothballed” or otherwise under-used, that could be used to provide oil refining for China, which faces a refining capacity shortfall soon. In so doing, China would defer or avoid having to increase its own refining capacity. Cooperation on transportation infrastructure to improve access by all of the nations to markets for their goods and to reduce the time and energy required to deliver raw materials and finished goods to market. Improved roads, rail facilities, and ports have already, to some extent, been the targets of cooperation activities among the DPRK, China, and Russia, but broader cooperation, even towards the dream of developing a rail-based “New Silk Road” from the ROK through the DPRK and Russia to Central Asia and Europe, have also been discussed. Co-development of liquefied Natural Gas (LNG) import capacity by the DPRK and ROK. It is possible (given a settlement of the current political impasse) that the ROK and DPRK could share an LNG terminal located in a suitable area relatively near the border of the two countries. An LNG terminal located, for example, near Nampo on the West coast of the DPRK, would be able to serve both the Pyongyang area and, via pipeline, areas of the ROK near the border (possibly including some of Seoul). This would provide a way to finance gas import facilities in the DPRK (by selling gas to the ROK) while the DPRK’s gas distribution infrastructure and gas demand is built up. Cooperation on regional emergency fuel storage, including, potentially, agreements on sharing fuel storage facilities, tapping shared storage resources in the event of a supply crisis, and rules for the amount of fuel to be stored (similar to those in force in OECD countries) are all possibilities. The DPRK could gain access to energy resources—oil, gas, and electricity, for example—that would be difficult to develop on its own (due to lack of capital and access to technologies), and could be less expensive than securing those resources some other way. The DPRK would also need, in order to participate in international energy projects (particularly those involving shared infrastructure) to undertake thorough assessments of its own energy resources and infrastructure and, moreover, to make the results of those assessments available to the international consortium planning the project. For example, to participate in a regional power grid interconnection, the DPRK would need to supply data on its transmission and distribution grid, power plants, and electricity demand centers (and in fact did so, to some extent, during discussions of interconnection options during the 2000s). Through cooperative projects, the DPRK will gain experience with economic cost-benefit analysis and other economic and financial concepts necessary to participate effectively in the international marketplace. Cooperative projects will provide substantial opportunities for, and in fact, require, capacity-building for DPRK officials and technicians. Many of the types of cooperation activities identified above, in fact, could have as their first step capacity-building and information-sharing programs of various types. In many cases, cooperative projects will allow foreigners better access to the DPRK, allowing them to learn more about the DPRK’s needs and situation, providing an improved appreciation for the perspectives through which DPRK citizens interact with the rest of the world, and forming individual relationships with DPRK Koreans. Overall, international projects involving the DPRK will be even more difficult to manage than cooperative project involving other Northeast Asian countries, which pose significant challenges of their own. Involving the DPRK in such projects, however, can offer significant benefits in terms of engagement of the DPRK with the international community, even apart from their energy and economic benefits. North Korea’s current and planned use of nuclear technologies may present severe problems with regard to nuclear security and safety. Here we refer to possible loss of control of nuclear materials and/or nuclear weapons due to instability in the DPRK itself associated with a leadership transition, or, during a conflict with the ROK and its allies, in the disorder associated with the middle of a war or when the DPRK regime is facing impending defeat. In this context, the DPRK may be a source of fissile material and even weapons that may no longer be under strict central control. This possibility presents an extreme imperative to neighboring states and to other parties to the Korean conflict to intervene to ensure that nuclear materials do not cross borders or fall into the hands of individuals likely to use them. Short of such disorder in the DPRK itself, the DPRK’s “routine” nuclear security on fuel cycle sites and its nuclear material- and weapons-related sites is likely to be very stringent. Nonetheless, it may be important to engage the DPRK to ensure that its domestic legislation is fully developed with respect to the obligations that all states must observe after the 2004 UN Security Council resolution 1540 was passed. Resolution 1540 obliges states to “…refrain from supporting by any means non-State actors from developing, acquiring, manufacturing, possessing, transporting, transferring or using nuclear, chemical or biological weapons and their delivery systems.” Also, the DPRK should (but has not) provided regular reports on its implementation of the required measures to the UNSC 1540 Committee. Training is also available to enable the DPRK to fulfill these obligations. Such measures may be a suitable confidence-building measure in the early stages of engagement of the DPRK to denuclearize its nuclear weapons program. With regard to nuclear safety, it is understood that the DPRK electric power system in general operates with very low standards for technical performance and maintenance, in large part due to the DPRK’s many decades of isolation from the international community, and also due to the related lack of spare parts and materials, leading to remarkable improvisation but also to a system prone to constant breakdown. Similar practices were observed at Yongbyon nuclear sites during the period of US and IAEA monitoring in the 1990s, and there is little reason to think that this proclivity to take short cuts, conduct speed campaigns, and proceed with regard for worker health and safety that is typically lower than international norms has changed. There is certainly reason to be concerned about the DPRK’s construction practices in its construction of the experimental LWR (ELWR) at Yongbyon that has been in process for most of the last decade. Indeed, when Professor Siegfried Hecker observed construction site on his last visit, he noted that the concrete foundation was being poured without proper preparation and reinforcing; and that site access was also amenable to flooding and being cut off from emergency vehicle access and other support that might be needed in the event of an emergency. The two main reactors at Yongbyon—the plutonium production reactor and the (apparently) not-yet-commissioned ELWR are shown in Figure 5‑1. These two reactors (ignoring the tiny research and isotope reactor also present at Yongbyon) could experience accidents. The most problematic would be a fire in the graphite core of the older plutonium production reactor. Such an accident could lead to radiation being released into a thermal plume and spreading downwind, similar to the 1957 Windscale accident in the UK. The experimental LWR core could also be disabled accidentally due to poor design, operator error, or hardware failure, but it is too small a thermal mass to lead to a fuel meltdown as occurred at Fukushima, Chernobyl or Three Mile Island. If some other accident or attack disabled the reactor, however, it could release a relatively small amount of radioactive material, but the plume will affect mostly local areas close by Yongbyon. In such an accident, the “worst-case” scenario for an accident or attack involving the ELWR involves a situation where 20 years have elapsed and the spent fuel pool is filled up and dense-packed, but even then significant radiation releases do not reach even large population centers in the DPRK and beyond. Provision of a program of training and institutional development needed to support each of the above activities, which is likely currently almost completely missing in the DPRK today. An engagement on nuclear energy issues including the types of activities described above cannot occur in a vacuum. LWR engagement should be accompanied by engagement on a host of other policy, economic, and humanitarian issues, but most importantly, as noted below, it must be accompanied by engagement on a wide range of other energy sector issues, ranging from electricity transmission and distribution grid redevelopment, conventional power and fuels supply, and development of energy markets, to energy efficiency, renewable energy, with capacity-building across a broad spectrum of energy topics to make implementation possible. The more that the region has already developed a regional enrichment facility or cooperation framework, and similarly, is cooperating to improve nuclear security and safety (as the ROK has pushed for in recent years, without much support from other states in the region), the easier it will be to frame ways to integrate the DPRK at affordable cost, and to identify proliferation-proofed options to improve their nuclear security and safety practices. With regard to regional or US cooperation to respond to an accident at a DPRK site, the region has not been able to achieve any meaningful progress on post-Fukushima cooperation protocols applicable to actually significant risk from large-scale reactor accidents, as was proposed most realistically by the ROK. A selection of suggested energy sector technologies and processes for energy sector redevelopment in the DPRK are provided below. Most of these options—all of which, in our view, are crucial pieces of the redevelopment puzzle for the DPRK—have elements that can be implemented in the short-term (for example, capacity-building and humanitarian aid), and medium-term (for example, demonstration projects), but all, ultimately, will require a concerted program of assistance over many years. Notably, many of these options are also of keen interest to the DPRK. This interest was evidenced in Nautilus Institute’s interactions with DPRK delegations from 1997 through 2014, but also appears to a large extent in Intended Nationally Determined Contribution of Democratic People’s Republic of Korea, dated September 2016, and submitted to the United Nations Framework Convention on Climate Change (UNFCCC). The DPRK’s “INDC” submission provides insights on topics such as the official policies on climate change and other environmental issues, on the DPRK’s intended energy-sector (and more broadly, economic) growth through 2030, and the DPRK’s “wish list” of energy-sector and other technologies—at least those with potential to reduce greenhouse gas emissions—for which it would propose to seek international assistance in implementation. This “wish list” has many commonalities with the listing of potential cooperation projects provided below. The following summarizes key energy sector needs and related potential cooperation approaches. Electricity Transmission and Distribution (T&D) Systems. The need for refurbishment and/or rebuilding of the DPRK T&D system was alluded to above. The most cost-effective approach for international and ROK assistance in this area will be to start by working with DPRK engineers to identify and prioritize a list of T&D sector improvements and investments, and to provide limited funding for pilot installations in a limited area—perhaps in the Tumen River area in counties where key industries for earning foreign exchange (such as mines) are located, or in the Kaesong area. Rehabilitation of Power Plants and Other Coal-Using Infrastructure: Rehabilitating existing thermal power plants, industrial boilers, and institutional/residential boilers will result in improved efficiency so the coal that is available goes further, will reduce pollutant emissions, and will improve reliability so that the lights and heat stay on longer. Accomplishing these upgrades will require a combination of training, materials (especially control systems), and perhaps assistance to set up and finance manufacturing concerns to mass-produce small boilers and heat-exchange components, particularly, in the short-term, for humanitarian applications, accompanied by a program of “weatherization” of buildings to be heated. Rehabilitation of Coal Supply and Coal Transport Systems: Strengthening of the coal supply and transport systems must go hand in hand with boiler rehabilitation if the amount of useful energy available in the DPRK is to increase. Foreign coal industries—in the United States and Australia, for instance, as well as China and Russia—have significant expertise to assist with evaluating and upgrading coal mines in the DPRK, including improvements in mining technologies and equipment, in evaluation of coal resources, in mine ventilation systems, and in mine safety. The substantial rehabilitation of the coal sector will not happen quickly, however, and should be accompanied by rehabilitation of the coal transport network. Development of Alternative Sources of Small-scale Energy and Implementation of Energy-efficiency Measures. North Koreans frequently express a keen interest in renewable energy and energy-efficiency technologies. This interest is completely consistent with both the overall DPRK philosophy of self-sufficiency and the practical necessities of providing power and energy services to local areas when national-level energy supply systems are unreliable at best. Such projects should be fast, small and cheap. Some of the key areas where the United States and partners could provide assistance are small hydro turbine-generator manufacturing, wind power, solar power, agricultural equipment efficiency measures, building envelope improvement and other measures for improving building energy efficiency, residential lighting improvements, industrial and irrigation motors, and humanitarian measures. Rehabilitation of Rural Infrastructure. 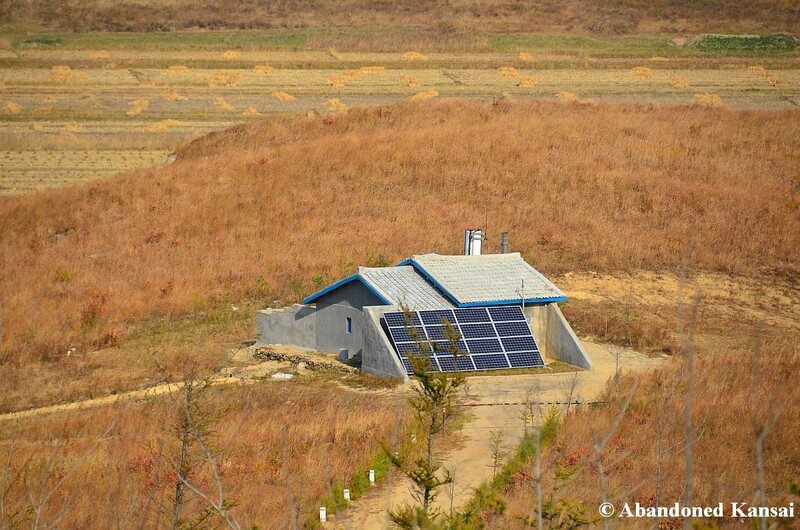 The goal of a rural energy rehabilitation program would be to provide the modern energy inputs necessary to allow DPR Korean agriculture to recover a sustainable production level, and for the basic needs of the rural population to be met. A comprehensive rehabilitation program for rural areas would feature a combination of short to medium-term energy supplies from imports and medium to long-term capital construction and rehabilitation projects. A key component of rural infrastructure rehabilitation is rehabilitation of the agricultural sector. Improvements in consumable crop production per unit energy input is a key goal, accomplished by measures that reduce post-harvest losses and early crop consumption, and improve the timing of agricultural activities and inputs. Post-harvest crop losses and early crop consumption alone have been estimated to reduce usable crop production by 20 percent in the DPRK. Completion of one or both of the Simpo light water nuclear reactors was for many years an important issue of national pride to the DPRK, as part of the 1994 US-DPRK Agreed Framework. Although the DPRK has to some extent acknowledged that these reactors may never be completed—hence the DPRK’s independent work on a small LWR, as described below—the net value to the DPRK of the Simpo LWRs remains a marker against which future international energy assistance offers may be judged. One possible two-LWR-equivalent “package” (albeit out of a practically infinite number of possible options), could include totals over 7 years of 1500 MWe (Megawatts of electricity) of hydroelectric plant rehabilitation. 1400 MWe of thermal power and heating plant reconstruction, 210 MWe of local wind power plus pumped-storage hydro, $0.5 billion in energy efficiency investments, 123 MW of diesels for humanitarian applications, and a small LPG terminal. This combination of elements offers the same net value in terms of inputs from abroad to the DPRK—a total of about $1300 million in discounted 2010 dollars—as would two LWR units, but is significantly more valuable in terms of the provision of energy for the DPRK economy. See David von Hippel and Peter Hayes (2017), “DPRK COAL EXPORTS TO CHINA UNDER NEW UN SANCTIONS: POTENTIAL IMPACTS AND “WORK-AROUNDS””, NAPSNet Special Reports, February 14, 2017, https://nautilus.org/napsnet/napsnet-special-reports/dprk-coal-exports-under-new-un-sanctions-potential-impacts-and-work-arounds/, Peter Hayes and David von Hippel (2017), “SANCTIONS ON NORTH KOREAN OIL IMPORTS: IMPACTS AND EFFICACY,” NAPSNet Special Reports, September 05, 2017, https://nautilus.org/napsnet/napsnet-special-reports/sanctions-on-north-korean-oil-imports-impacts-and-efficacy/, and David F. von Hippel and Peter Hayes (2017), “IMPACT OF UNSC RESOLUTION 2375 ON DPRK OIL IMPORTS”, NAPSNet Policy Forum, September 12, 2017, https://nautilus.org/uncategorized/impact-of-unsc-resolution-2375-on-dprk-oil-imports/. Images from, respectively, Abandoned Kansai (2014), available as https://abandonedkansai.files.wordpress.com/2014/02/north-korean-uses-solar-panels-especially-close-to-the-border.jpg; and Sean Farlow (2015), “North Korea’s Solar Panel Boom”, Gazette Review, dated April 21, 2015, available as http://gazettereview.com/2015/04/north-koreas-solar-panel-boom/. http://nautilus.org/wp-content/uploads/2012/12/1990-2009-DPRK-ENERGY-BALANCES-ENGAGEMENT-OPTIONS-UPDATED-2012_changes_accepted_dvh_typos_fixed.pdf; David F. von Hippel and Peter Hayes (2014), Strategies for the Rehabilitation of the DPRK Energy Sector, NAPSNet Special Reports, June 22, 2014, available as http://nautilus.org/napsnet/napsnet-special-reports/strategies-for-the-rehabilitation-of-the-dprk-energy-sector/; and David von Hippel and Peter Hayes (2014), An Updated Summary of Energy Supply and Demand in the Democratic People’s Republic of Korea (DPRK)“, NAPSNet Special Reports, April 15, 2014, available as http://nautilus.org/napsnet/napsnet-special-reports/an-updated-summary-of-energy-supply-and-demand-in-the-democratic-peoples-republic-of-korea-dprk/. David von Hippel and Peter Hayes (2017), “DPRK COAL EXPORTS TO CHINA UNDER NEW UN SANCTIONS: POTENTIAL IMPACTS AND “WORK-AROUNDS””, NAPSNet Special Reports, February 14, 2017, https://nautilus.org/napsnet/napsnet-special-reports/dprk-coal-exports-under-new-un-sanctions-potential-impacts-and-work-arounds/, Peter Hayes and David von Hippel (2017), “SANCTIONS ON NORTH KOREAN OIL IMPORTS: IMPACTS AND EFFICACY,” NAPSNet Special Reports, September 05, 2017, https://nautilus.org/napsnet/napsnet-special-reports/sanctions-on-north-korean-oil-imports-impacts-and-efficacy/, and David F. von Hippel and Peter Hayes (2017), “IMPACT OF UNSC RESOLUTION 2375 ON DPRK OIL IMPORTS”, NAPSNet Policy Forum, September 12, 2017, https://nautilus.org/uncategorized/impact-of-unsc-resolution-2375-on-dprk-oil-imports/. Related to an earlier UNSC resolution, see also Peter Hayes, David von Hippel, and Roger Cavazos (2016), “SANCTIONING KEROSENE AND JET FUEL IN NORTH KOREA”, NAPSNet Policy Forum, March 10, 2016, https://nautilus.org/napsnet/napsnet-policy-forum/sanctioning-kerosene-and-jet-fuel-in-north-korea/. Stephan Haggard (2016) “UN Security Council Resolution 2321: A Deeper Dive”, dated December 5, 2016, and available as https://piie.com/blogs/north-korea-witness-transformation/un-security-council-resolution-2321-deeper-dive. The production of export coal destined for China in the DPRK is largely financed by Chinese companies, who provide the supplies needed to produce the coal. If China implements the export sanctions stringently, and the Chinese trading companies involved in coal production in the DPRK likewise comply with sanctions rules, many export mines in the DPRK may need to find other sources of critical supplies needed for production. Summary and text of UNSC Resolution 2397 are available at https://www.un.org/sc/suborg/en/sanctions/1718/resolutions. Please note that this is a rough estimate, as a more detailed assessment of the status of the DPRK energy sector as of recent years has not yet been performed. Nautilus Institute images from 1998, 2000, and 2009 emblematic of probable approaches that the DPRK would use to blunt the impact of sanctions. The photos show, respectively, a gasifier-powered truck fueled with coal and/or biomass, multi-purpose (civilian/military/goods) transport by truck, and the dimly-lit Pyongyang subway. Smuggling of oil products into the DPRK by sea is made more difficult by the tracking of tankers via satellite surveillance, though some oil products, albeit in smaller shipments, do enter the DPRK from China and Russia via truck and rail. For a more detailed presentation of how energy sector assistance activities for the DPRK might be phased, see David von Hippel and Peter Hayes (2009), DPRK Energy Sector Assistance to Accompany Progress in Denuclearization Discussions: Options and Considerations, prepared for the project “Improving Regional Security and Denuclearizing the Korean Peninsula: U.S. Policy Interests and Options”, October, 2009. Available as http://nautilus.org/wp-content/uploads/2012/01/vonHippel.pdf. This document is available from the UNFCCC website as http://www4.unfccc.int/ndcregistry/PublishedDocuments/Democratic%20People%27s%20Republic%20of%20Korea%20First/DPRK-INDC%20by%202030.pdf. See David von Hippel and Peter Hayes, “The DPRK’s Intended Nationally Determined Contribution to Commitments under the UNFCCC: A Climate Change Window into the DPRK Energy Sector”, NAPSNet Policy Forum, June 06, 2017, https://nautilus.org/napsnet/napsnet-policy-forum/the-dprks-intended-nationally-determined-contribution-to-commitments-under-the-unfccc-a-climate-change-window-into-the-dprk-energy-sector/. The key reason why the LWR-equivalent package of measures yields so much more usable energy for the DPRK than the LWRs themselves is that LWRs the size of the Simpo units are too large to be operated in even a healthy DPRK grid, thus the power from the LWRs would need to be mostly exported to the ROK. By contrast, the ROK’s per capita electricity consumption had more than quadrupled, to 8900 kWh per capita, by 2009, based on World Bank figures. Many of the hydroelectric facilities built during the Japanese occupation were reportedly disabled or dismantled by the Japanese (during retreat from the Peninsula) or by the USSR, but were later refurbished with technical assistance and equipment from the USSR. See, for example David von Hippel and Peter Hayes (2015), “Private Purchases of Solar Photovoltaic Panels in the DPRK: Signs of Green Growth on the Way?”, NAPSNet Policy Forum, January 13, 2015, available as https://nautilus.org/napsnet/napsnet-policy-forum/private-purchases-of-solar-photovoltaic-panels-in-the-dprk-signs-of-green-growth-on-the-way/. Electricity production (used with estimates of transmission and distribution losses to estimate consumption) and energy supply (primary energy use) data from British Petroleum (BP, 2016), BP Statistical Review of World Energy, available in PDF and Excel formats at http://www.bp.com/en/global/corporate/energy-economics/statistical-review-of-world-energy.html. DPRK electricity use and primary energy use estimates for 2014 prepared by the authors. Michelle Nichols (2016), “U.N. slaps new sanctions on North Korea to slash cash from exports”, Reuters, dated December 1, 2016, and available as http://www.reuters.com/article/us-northkorea-nuclear-un-idUSKBN13P1TF. In United Nations (UN) Comtrade statistics for 2015, only one other nation is listed as importing coal (commodity code HS 2701) from the DPRK, and it is listed as “Other Asia, nes” (nes = “not elsewhere specified”), with imports of about 280 thousand tonnes, less than 2 percent of total reported DPRK coal exports. The DPRK did also import about 1 Mt of coal from China and Russia in 2015, almost all from the latter. The total value of goods in these categories, plus clothing and coal, represented about 91 percent of the total value of the DPRK’s exports to China in 2015. United Nations Security Council (2016), SECURITY COUNCIL 7821ST MEETING (AM), Security Council Strengthens Sanctions on Democratic Republic of Korea, Unanimously Adopting Resolution 2321 (2016), available as http://www.un.org/press/en/2016/sc12603.doc.htm. Ben Blanchard (2016), “China says new North Korea sanctions not meant to harm ‘normal’ trade”, Reuters, dated December 1, 2016, available as http://www.reuters.com/article/us-northkorea-nuclear-un-china-idUSKBN13Q3TQ. These items are a combination of specific chemicals (such as ammonium nitrate) and pieces of equipment, such as 10 to 20 liter fermenters. See, for example, DailyNK (2016), “Coal export prices to China falling in Ryanggang Province despite increasing trade”, DailyNK, dated 11/4/2016, and available as http://www.dailynk.com/english/read.php?num=14168&cataId=nk00100, and Alastair Gale (2016), “North Korean Coal Windfall Boosts Nuclear Advance: New mineral riches complicate Washington-Beijing talks over how to curb Pyongyang’s nuclear program”, The Wall Street Journal, updated Oct. 25, 2016, and available as http://www.wsj.com/articles/north-korean-coal-windfall-boosts-nuclear-advance-1477387708. The latter article notes that the DPRK export coal prices increased by more than 50 percent in September and October of 2016, due largely to restrictions in domestic coal production in China and in coal production in Australia, a major exporter to China. Over 2012 through 2015, the average annual price paid by China for DPRK coal has ranged $53 (in 2015) to over $100 (in 2012) per tonne, thus is it difficult to pick a particular value with which to calculate the DPRK’s lost revenue due to coal export-related sanctions. See, for example, Benjamin Katzeff Silberstein (2016), “North Korean GDP per capita over $1,000 for the first time ever last year, says Hyundai”, North Korean Economy Watch, dated October 4th, 2016, and available as http://www.nkeconwatch.com/category/statistics/gdp-statistics/. Lumping the Chinese RMB in with other traditional “hard” currencies, at least for the DPRK’s purposes. Individual estimates of coal use do not quite add to the total use estimate due to rounding. Coal imported by China is reportedly high-grade anthracite, imported for use in ceramics and metallurgical industries and also blended with other coal for use in power plants in China. See, for example, Clyde Russell (2016), “China buys record North Korean coal as sanctions ignored: Russell”, Reuters, dated September 26, 2016, and available as http://www.reuters.com/article/us-column-russell-coal-china-idUSKCN11W0CO. Miners, engineers and truck drivers will be the victims of the latest round of North Korea sanctions”, Al-Jazeera, dated April 14, 2016, and available as http://www.aljazeera.com/indepth/opinion/2016/04/average-north-koreans-hit-hardest-sanctions-160413060120033.html. This rate of productivity would be low for a typical fully-mechanized underground coal mine, but seems not unreasonable for probable mining conditions in the DPRK, even in mines that have benefited from recent Chinese infrastructure investment. Subsidized prices, however, might be a departure from past practice in China/DPRK trade. In past research Nautilus has found that the reported (customs statistics) prices of key Chinese exports to the DPRK, including fuel, were if anything somewhat higher than the prices charged by China to other, albeit mostly larger-volume, trade partners. See, for example, Clyde Russell (2016), “China buys record North Korean coal as sanctions ignored: Russell”, Reuters, dated September 26, 2016, and available as http://www.reuters.com/article/us-column-russell-coal-china-idUSKCN11W0CO. British Petroleum (BP, 2016), Statistical Review of World Energy — data workbook, Excel workbook downloaded from http://www.bp.com/en/global/corporate/energy-economics/statistical-review-of-world-energy/downloads.html. Dr. Chung Woo-jin, personal communication. WU Lixin, QIN Rongjun and REN Shihua (2016), “China to phase out coal imports”, dated 2 December 2016, and available as https://reneweconomy.com.au/china-to-phase-out-coal-imports-78992/. Based on a review of Chinese coal imports in 2013 through 2015 from UN trade statistics (https://comtrade.un.org/data/), China has paid a somewhat higher average price—about 14 to 24 percent higher—for coal from nations other than the DPRK than it has paid for DPRK coal. Since these costs are on a per-tonne basis, parts of the cost difference could be explained by a lower average heat content for DPRK coal, relative to coal from other exporters (chief among them Russia, Indonesia, Canada, and especially Australia) and/or could reflect the lower costs of transporting coal from the nearby DPRK. February 13, 2017, at: http://www.reuters.com/article/us-northkorea-missiles-nk-idUSKBN15R10O. See T. Postol, M. Schiller (2016), “The North Korean Ballistic Missile Program,” Korea Observer, 47:4, 2016, pp.751-805, available at: http://www.iks.or.kr/board/index.html?id=vol47no4. See, for example, Associated Press (2016), “North Korea rejects UN sanctions, briefs envoys in Pyongyang”, dated December 2, 2016, and available as https://www.washingtonpost.com/world/asia_pacific/north-korea-rejects-un-sanctions-briefs-envoys-in-pyongyang/2016/12/02/b640e1fa-b854-11e6-939c-91749443c5e5_story.html?utm_term=.7a756193e3f4. Although ongoing and upcoming (respectively) transitions in both the US and ROK do, admittedly, make the likelihood of an attempt at engagement in the near future virtually un-knowable. Options for such activities, and for larger energy-sector projects with the DPRK, have been the topics of a number of publications by the authors, including, for example, David von Hippel and Peter Hayes (2015), Energy sector cooperation with the DPRK in support of a regional Nuclear Weapons Free Zone, NAPSnet Special Report, available as http://nautilus.org/napsnet/napsnet-special-reports/energy-sector-cooperation-with-the-dprk-in-support-of-a-regional-nuclear-weapons-free-zone/, and the short article by David Von Hippel (2016), “Bright idea? Engaging North Korea through energy: Offering to assist the DPRK with energy infrastructure could bring it to the negotiating table”, NK News.org, dated October 11th, 2016, and available as https://www.nknews.org/2016/10/bright-idea-engaging-north-korea-through-energy-incentives/. @realDonaldTrump, dated 9:14 AM – Sep 3, 2017, available as https://twitter.com/realDonaldTrump. “Abe, Trump vow to ‘make North Korea change its policies’” Nikkei Asia Review, September 3, 2017, at: https://asia.nikkei.com/Politics-Economy/Policy-Politics/Abe-Trump-vow-to-make-North-Korea-change-its-policies. Bryan Harris, “South Korea looks to choke North with oil embargo, Beijing’s likely opposition highlights lack of options facing Seoul and Washington,” Financial Times, September 4, 2017 (behind paywall) at: https://www.ft.com/content/b4d37d7e-91d8-11e7-a9e6-11d2f0ebb7f0. “‘Talking is not the answer’ with Pyongyang, Trump tweets in contradiction to Mattis, Tillerson,” The Japan Times, August 31, 2017, at: https://www.japantimes.co.jp/news/2017/08/31/asia-pacific/politics-diplomacy-asia-pacific/talking-not-answer-pyongyang-trump-tweets-contradiction-mattis-tillerson/#.Wa4-eT6GPcs. “How should Beijing respond to Pyongyang’s new nuclear test?” (editorial) Global Times, September 3, 2017, at: http://www.globaltimes.cn/content/1064487.shtml. For 2009 and earlier versions of this refined products balance, see (for example) p. 147 of Foundations of Energy Security for the DPRK: 1990-2009 Energy Balances, Engagement Options, and Future Paths for Energy and Economic Redevelopment, by David von Hippel and Peter Hayes (2012), NAPSNet Special Reports, December 18, 2012, at: https://nautilus.org/napsnet/napsnet-special-reports/foundations-of-energy-security-for-the-dprk-1990-2009-energy-balances-engagement-options-and-future-paths-for-energy-and-economic-redevelopment/. See, for example, Jiyeun Lee (2017), “North Korea’s Economy Is Growing at Its Fastest Pace Since 1999”, Bloomberg, dated July 20, 2017, and available as https://www.bloomberg.com/news/articles/2017-07-21/north-korea-s-economy-rebounds-from-drought-amid-missile-focus. We adopt tonnes of crude oil-equivalent as the base unit in this essay in order to illustrate the impacts of cuts in Chinese crude oil supply to the DPRK, although it is an unusual energy unit to select for conventional energy-economic analysis. See, for example, Tomotaro Inoue (2017), “N. Korea procuring Russian fuel via Singapore dealers: defector”, Kyodo News, dated June 28, 2017, available as https://english.kyodonews.net/news/2017/06/6f47a07fd486-update1-n-korea-procuring-russian-fuel-via-singapore-dealers-defector.html. David von Hippel, Peter Hayes and Roger Cavazos, “An Updated Estimate of Energy Use in the Armed Forces of the Democratic People’s Republic of Korea (DPRK)”, NAPSNet Special Reports, August 04, 2015, https://nautilus.org/napsnet/napsnet-special-reports/an-updated-estimate-of-energy-use-in-the-armed-forces-of-the-democratic-peoples-republic-of-korea-dprk/. U.S. Mission to UN (2017), “FACT SHEET: Resolution 2375 (2017) Strengthening Sanctions on North Korea, dated 2017-09-11, 22:34 17.603, GMT”, available as https://usun.state.gov/remarks/7969. Peter Hayes and David von Hippel, “SANCTIONS ON NORTH KOREAN OIL IMPORTS: IMPACTS AND EFFICACY,” NAPSNet Special Reports, September 05, 2017, https://nautilus.org/napsnet/napsnet-special-reports/sanctions-on-north-korean-oil-imports-impacts-and-efficacy/. “Security Council Imposes Fresh Sanctions on Democratic People’s Republic of Korea, Including Bans on Natural Gas Sales, Work Authorization for Its Nationals, Resolution 2375 (2017) Also Takes Humanitarian Situation into Account as Members Urge Resumed Talks on Denuclearizing Korean Peninsula,” September 11, 2107, at: https://www.un.org/press/en/2017/sc12983.doc.htm. For more comprehensive treatments of these topics, please see David von Hippel and Peter Hayes, “Future Northeast Asian Regional Energy Sector Cooperation Proposals and the DPRK Energy Sector: Opportunities and Constraints”, in ERINA Report, Volume 82, July, 2008, available as http://www.erina.or.jp/en/Publications/er/pdf/Er82.pdf; and David von Hippel, Ruslan Gulidov, Victor Kalashnikov, and Peter Hayes, “Northeast Asia Regional Energy Infrastructure Proposals”, Asian Energy Security Special Section of Energy Policy, Volume 39, Number 11, November, 2011 Pages 6855–6866, and available as http://dx.doi.org/10.1016/j.enpol.2009.08.011. Thinking less conventionally and further into a future where climate change concerns are a greater factor in international policy, it is possible that suitably designed pipelines passing to and through the DPRK could be used for carbon-free fuels such as hydrogen and ammonia produced on-site using renewable energy in very windy and/or sunny places such as the Gobi Desert. The reader is urged to consult the many papers presented during the 2001, 2002, and 2003 Workshops on Power Grid Interconnection in Northeast Asia, hosted by Nautilus and its partners in Beijing and Shenzhen, China, and in Vladivostok, Russia, respectively. These papers provide background both in regional interconnection proposals and on the many different issues affecting and potentially affected by Northeast Asian grid interconnections. See http://nautilus.org/projects/by-name/asian-energy-security/workshop-on-power-grid-interconnection-in-northeast-asia/. See, for example, Eui-soon Shin (2005), “Joint Stockpiling and Emergency Sharing of Oil: Update on the Situations in the ROK and on Arrangements for Regional Cooperation in Northeast Asia”, prepared for the Asian Energy Security Workshop, May 13-16, 2005, Beijing, China, and available as http://www.nautilus.org/aesnet/2005/JUN2205/Shin_Stockpile.ppt. See, for example, J. Y. Yoon (2008), “Analysis on DPRK Power Sector Data & Interconnection Option”, presented at the DPRK Energy Experts Working Group Meeting, March 8 and 9, 2008, Beijing, China, and available as http://nautilus.wpengine.netdna-cdn.com/wp-content/uploads/2011/12/Yoon.ppt. See UNSC 1540 Committee (undated, but after 2012), “1540 Fact Sheet”, available as http://www.un.org/en/sc/1540/1540-fact-sheet.shtml. Siegfried S. Hecker (2010), A Return Trip to North Korea’s Yongbyon Nuclear Complex, NAPSNet Special Report, dated November 22, 2010, and available as http://www.nautilus.org/publications/essays/napsnet/reports/areturn-trip-to-north-korea2019s-yongbyon-nuclear-complex. David von Hippel, Peter Hayes (2017), “What are the Potential Impacts of a Crisis at North Korea’s Yongbyon Nuclear Reactors?” Korea Economic Institute, The Peninsula, May 22, 2017, at: http://blog.keia.org/2017/05/what-are-the-potential-impacts-of-a-crisis-at-north-koreas-yongbyon-nuclear-reactors-2/; and David von Hippel and Peter Hayes (2017), Potential Impacts of Accident at or Attack on the DPRK’s Yongbyon Nuclear Reactors, NAPSNet Special Reports, May 22, 2017, at: http://nautilus.org/napsnet/napsnet-special-reports/potential-impacts-of-accident-at-or-attack-on-the-dprks-yongbyon-nuclear-reactors/. See David F. von Hippel and Peter Hayes, Illustrative Assessment of the Risk of Radiological Release from an Accident at the DPRK LWR at Yongbyon, NAPSNet Special Reports, May 06, 2014, http://nautilus.org/napsnet/napsnet-special-reports/illustrative-assessment-of-the-risk-of-radiological-release-from-an-accident-at-the-dprk-lwr-at-yongbyon-2/. These and other approaches are outlined in more detail in David von Hippel and Peter Hayes, Engaging the DPRK Enrichment and Small LWR Program: What Would It Take?, NAPSNet Special Reports, December 23, 2010, http://nautilus.org/napsnet/napsnet-special-reports/engaging-the-dprk-enrichment-and-small-lwr-program-what-would-it-take/. See Park Younwon (2015), Securing Nuclear Safety in Northeast Asia: ROK Proposal on Northeast Asia Nuclear Safety Mechanism, NAPSNet Special Reports, May 04, 2015, http://nautilus.org/napsnet/napsnet-special-reports/securing-nuclear-safety-in-northeast-asia-rok-proposal-on-northeast-asia-nuclear-safety-mechanism/. Hugh Bentley, “Trends in the DPRK Agricultural Sector & Implications for Energy Use”, presentation prepared for the DPRK Energy Experts Working Group Meeting, June 26th and 27th, 2006, Palo Alto, CA, USA). Available as http://nautilus.wpengine.netdna-cdn.com/wp-content/uploads/2012/01/Bentley.ppt. See, for example, David von Hippel and Peter Hayes (2015), “Energy sector cooperation with the DPRK in support of a regional Nuclear Weapons Free Zone”, NAPSNet Special Reports, September 21, 2015, https://nautilus.org/napsnet/napsnet-special-reports/energy-sector-cooperation-with-the-dprk-in-support-of-a-regional-nuclear-weapons-free-zone/.